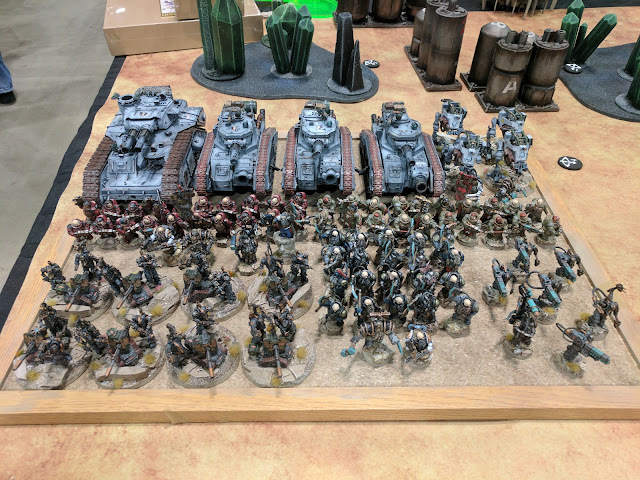 Yet another year at Adpeticon! This year, 30K was bigger and better than ever before. 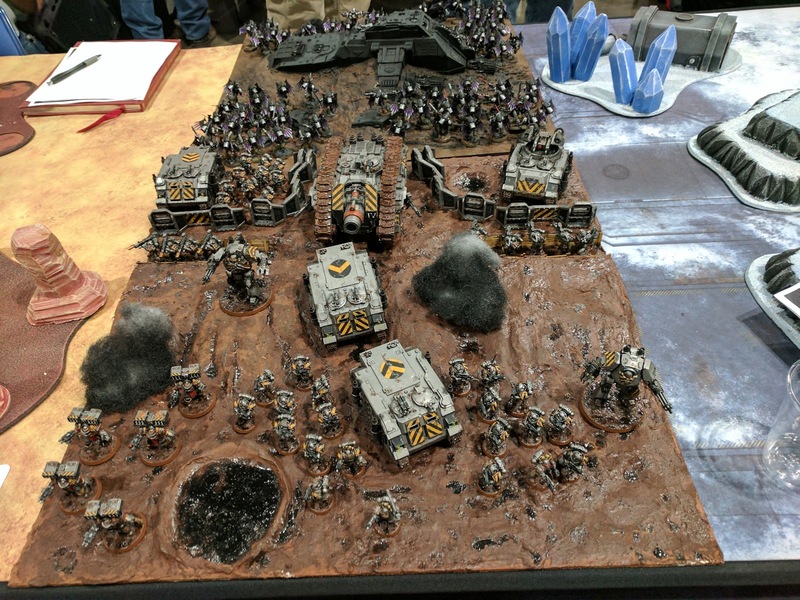 The terrain was beautiful and all the events impacted a massive campaign that unfolded on an enormous map. 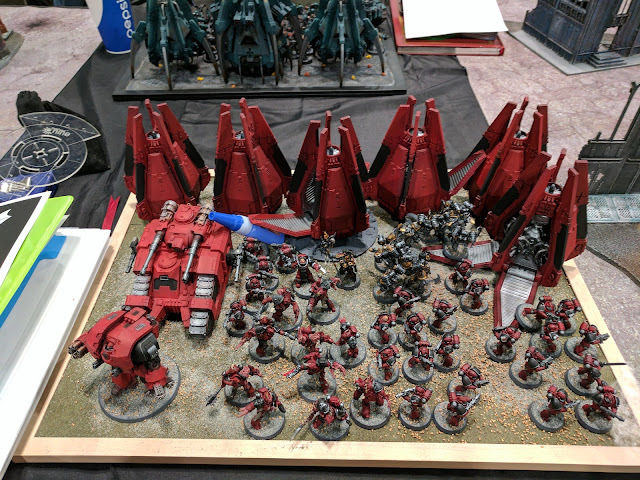 First and foremost, I would like to send out a thank you to all the organizers! 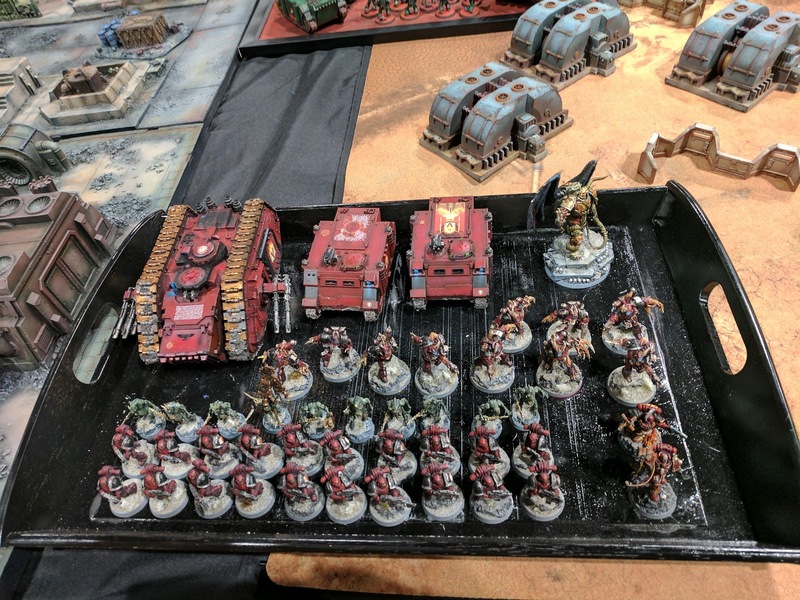 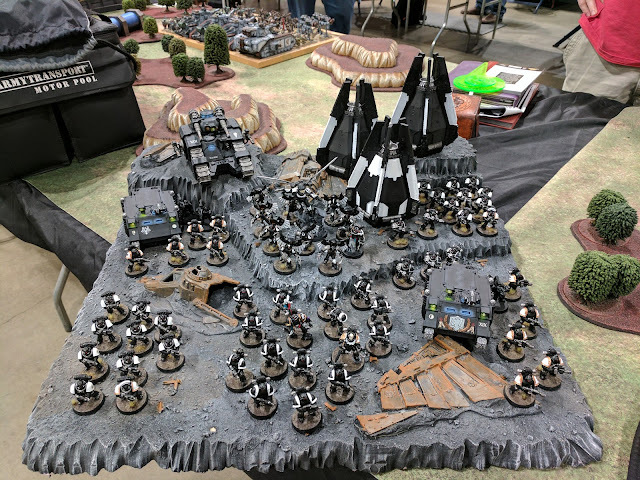 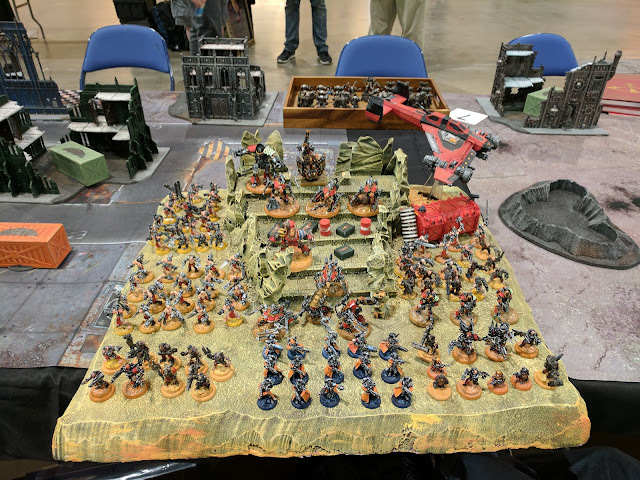 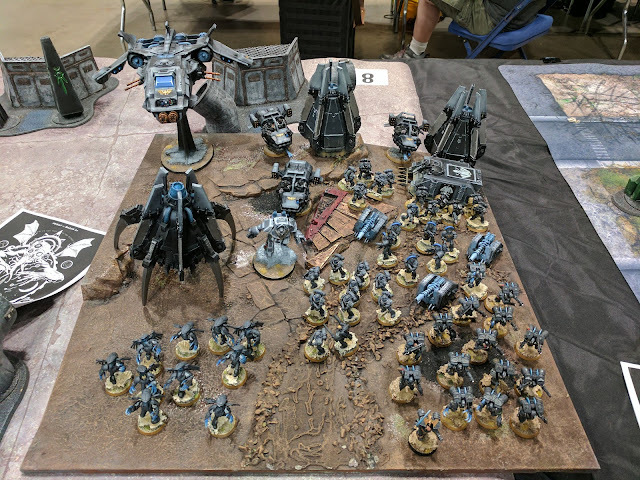 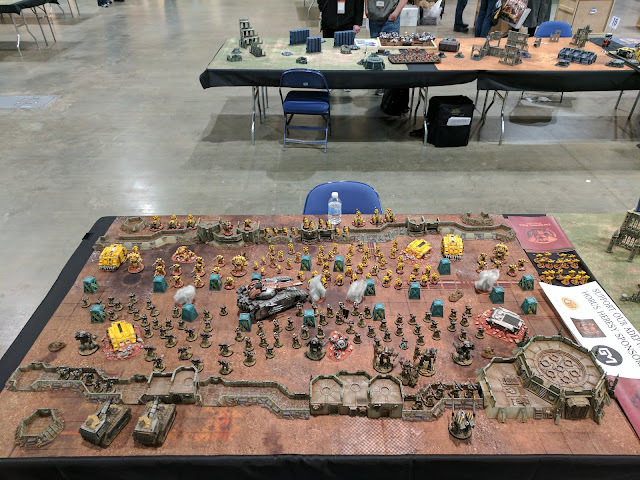 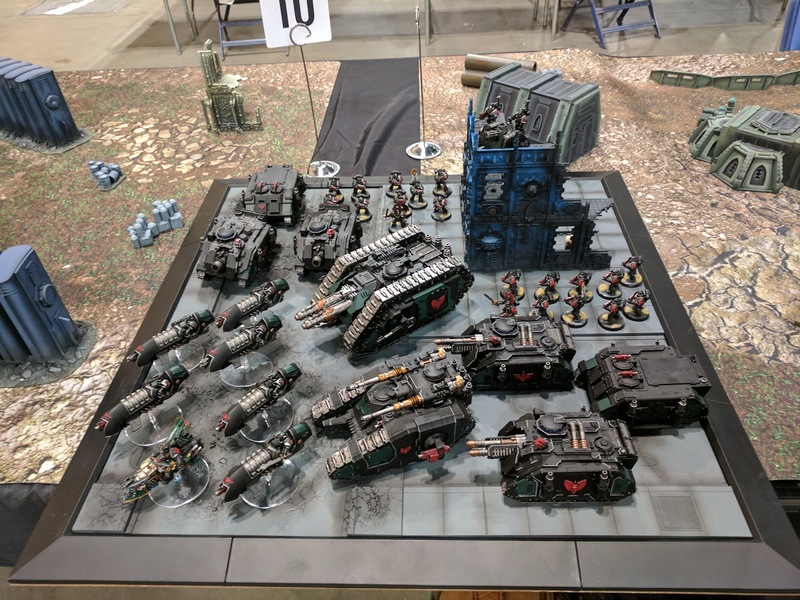 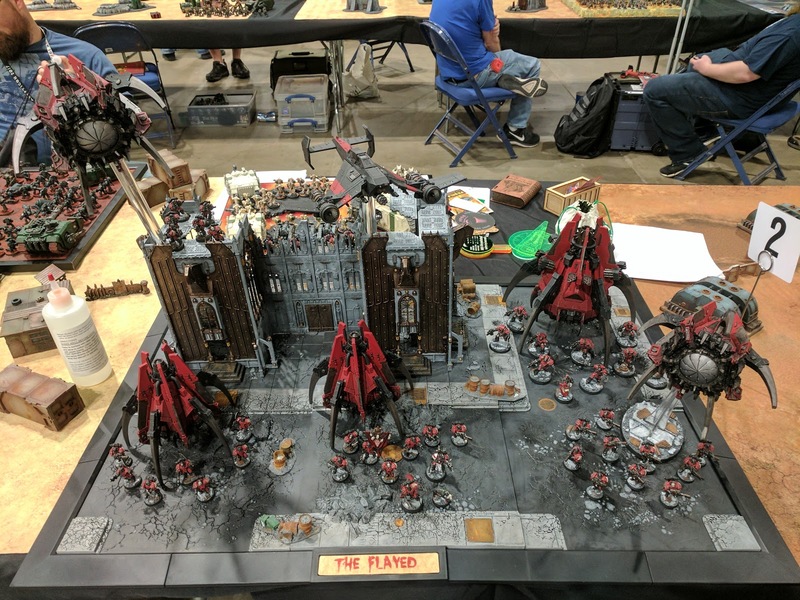 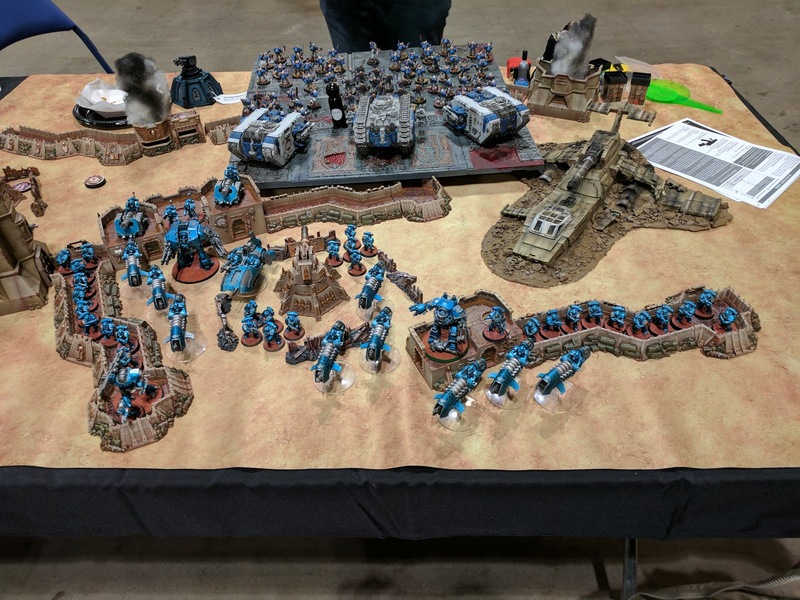 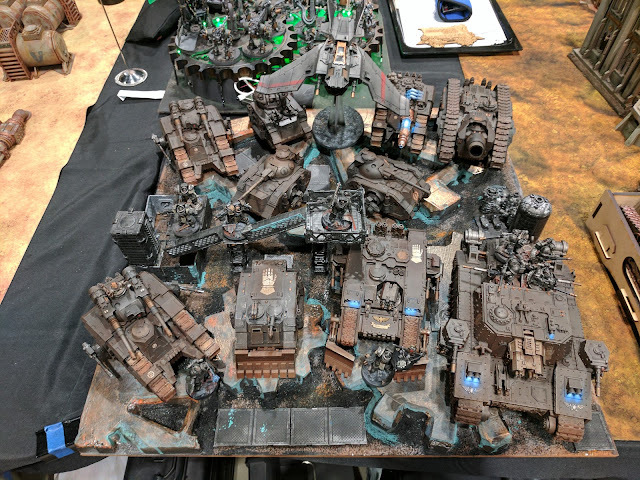 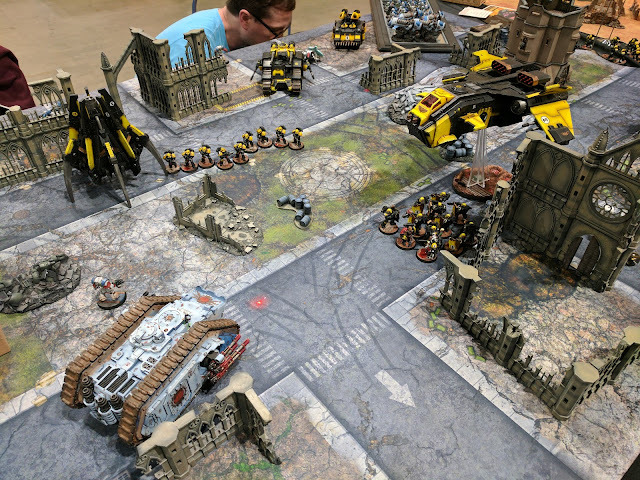 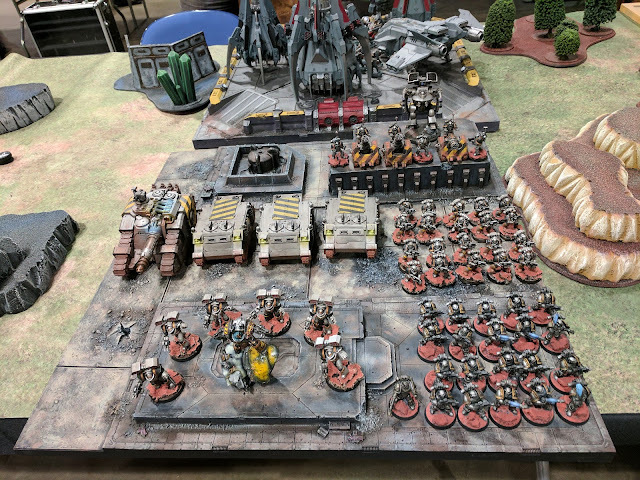 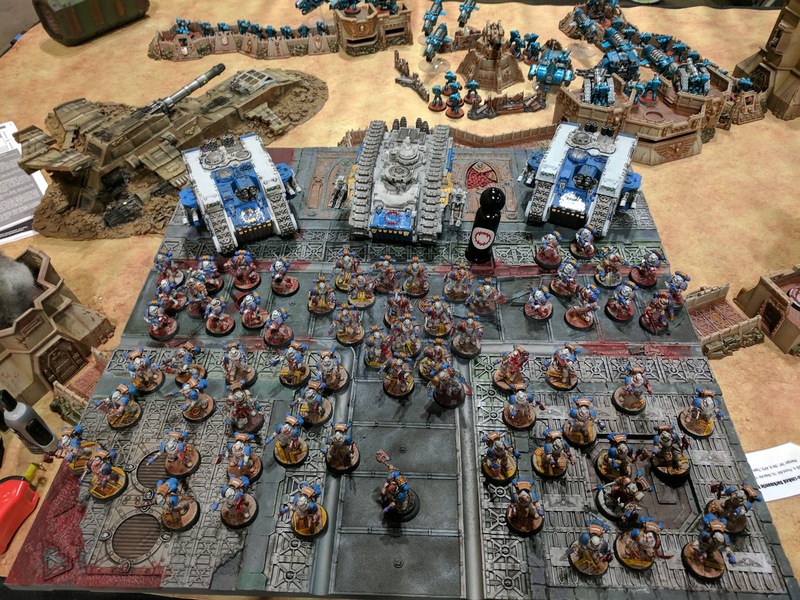 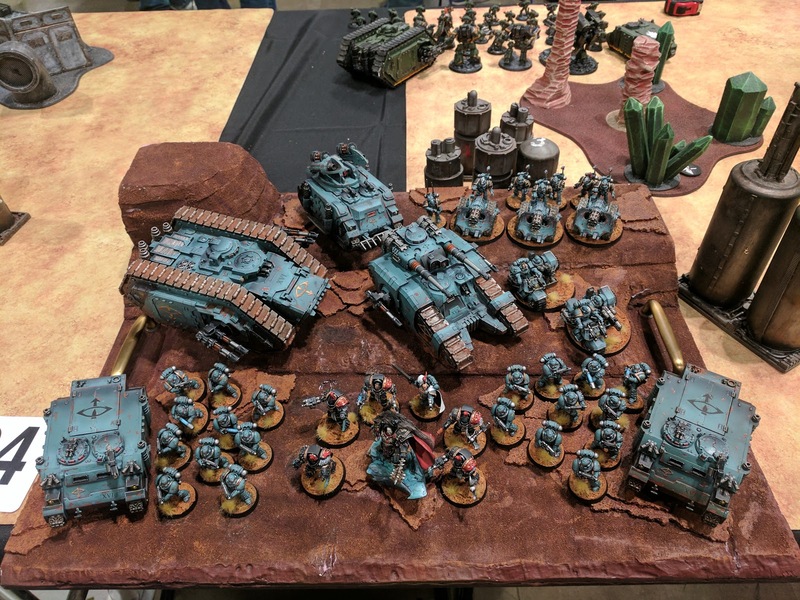 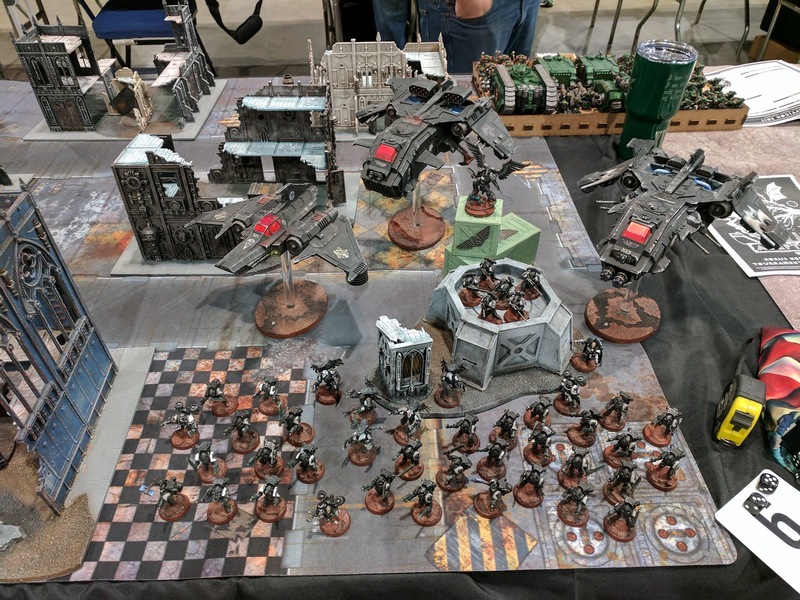 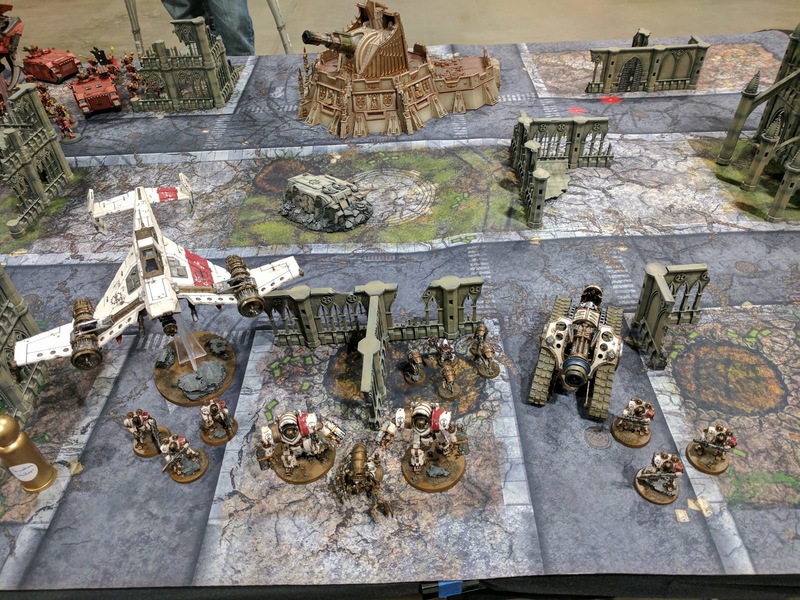 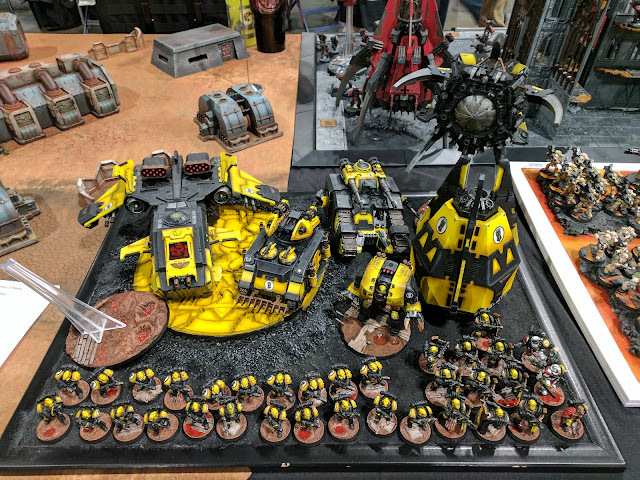 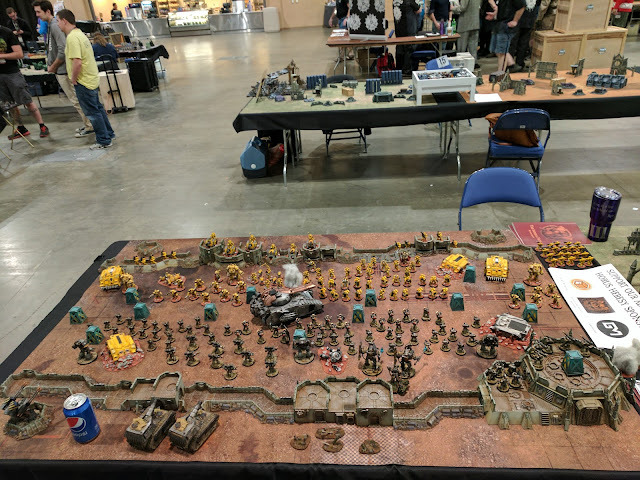 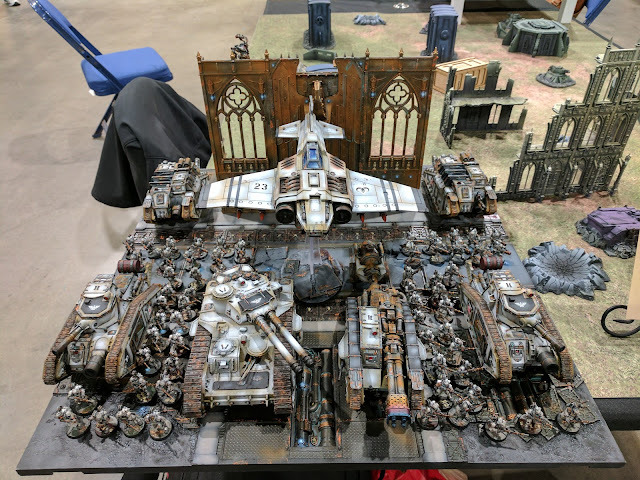 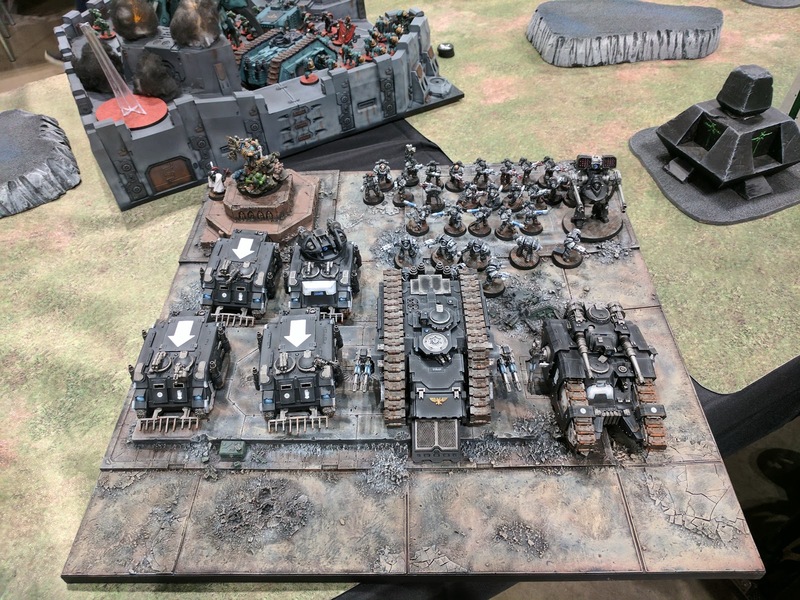 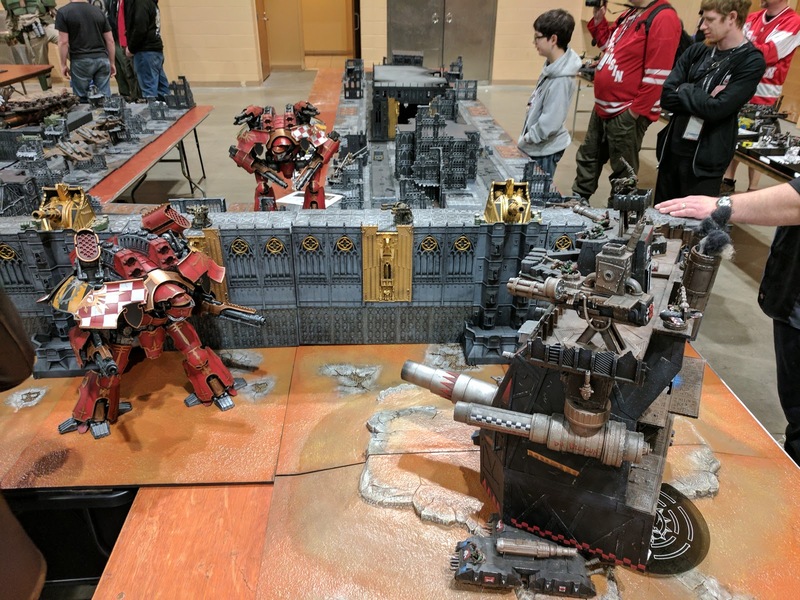 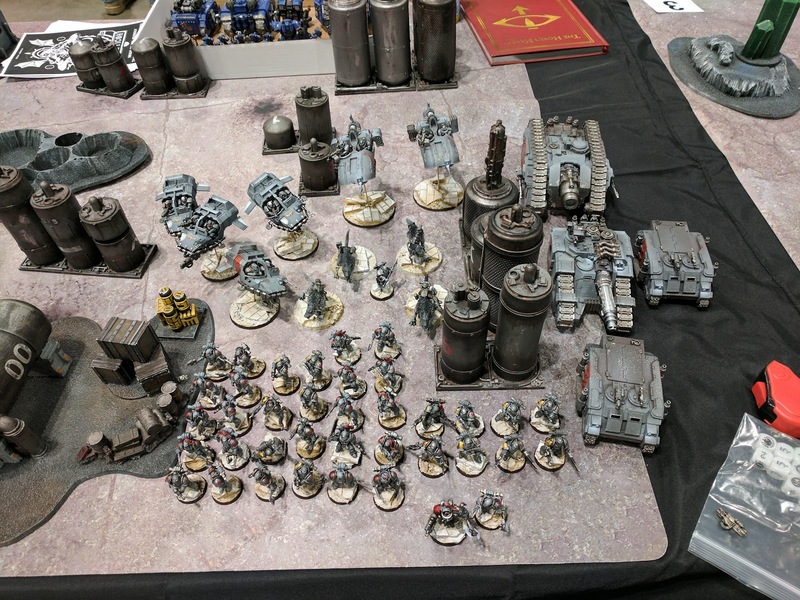 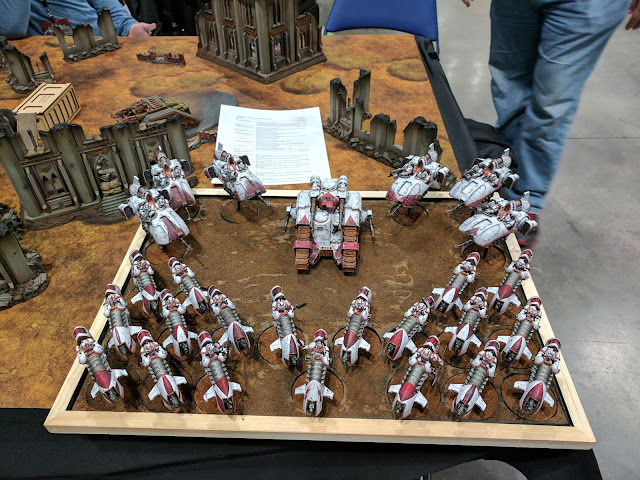 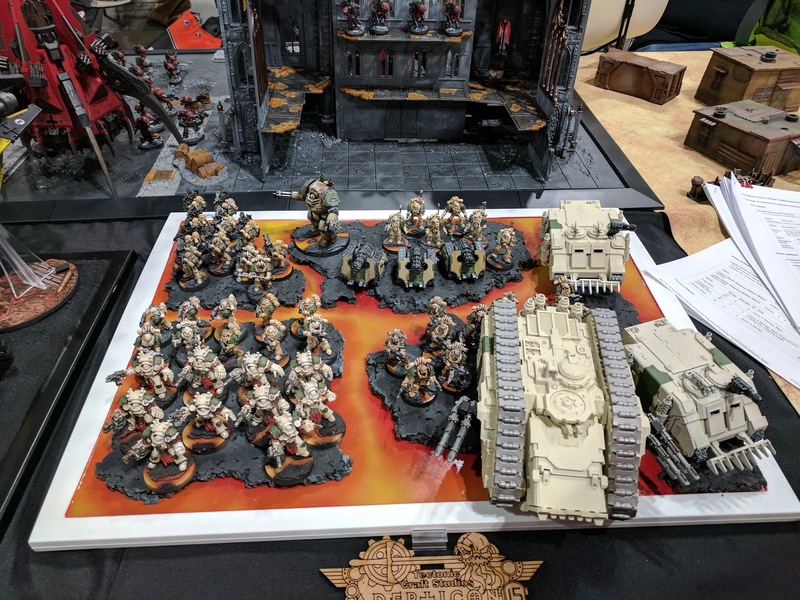 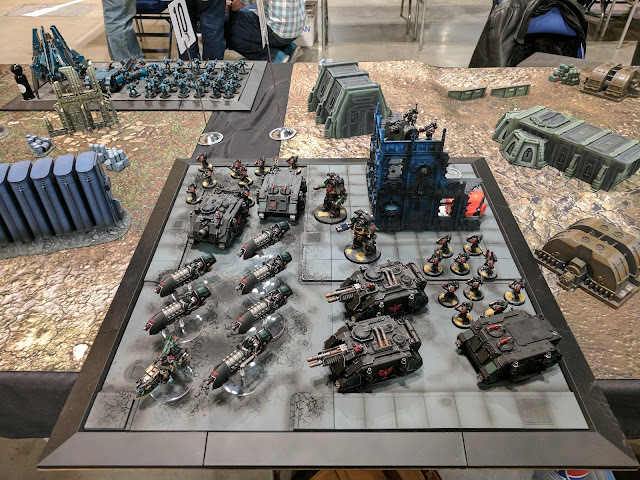 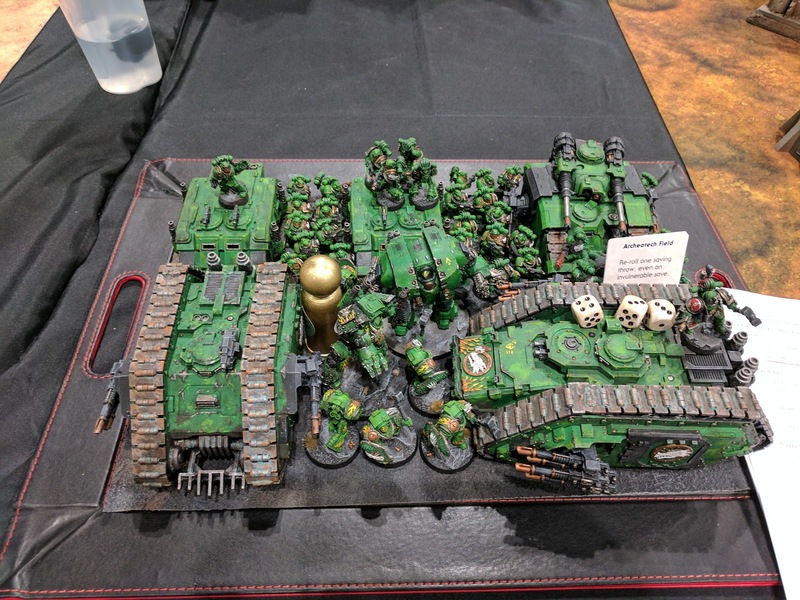 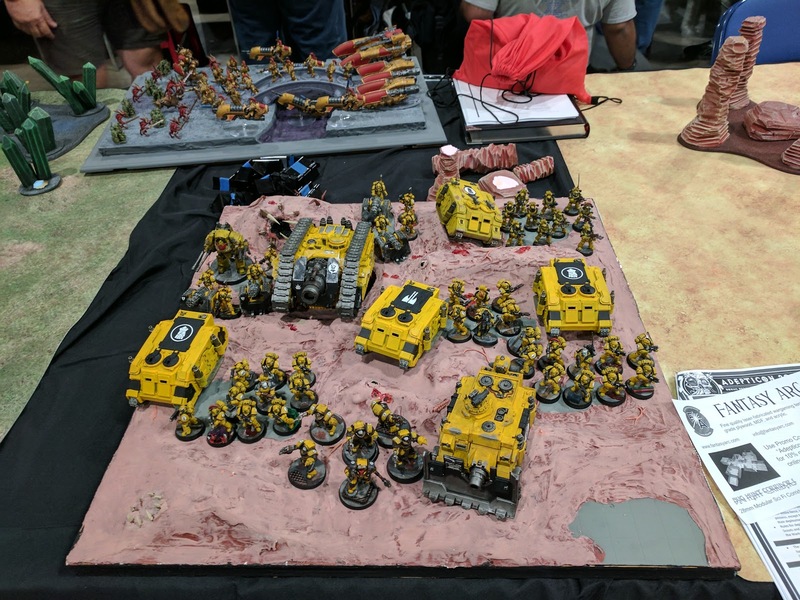 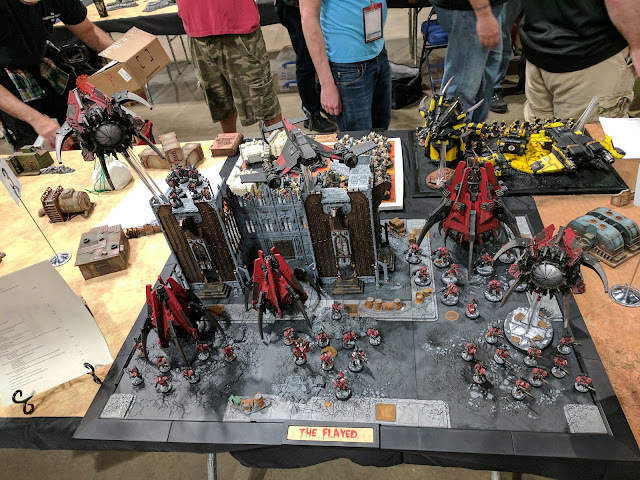 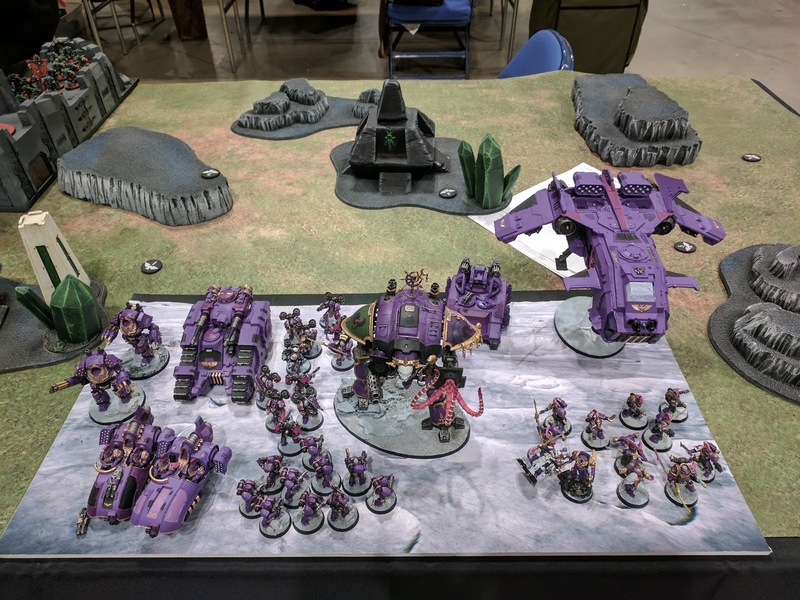 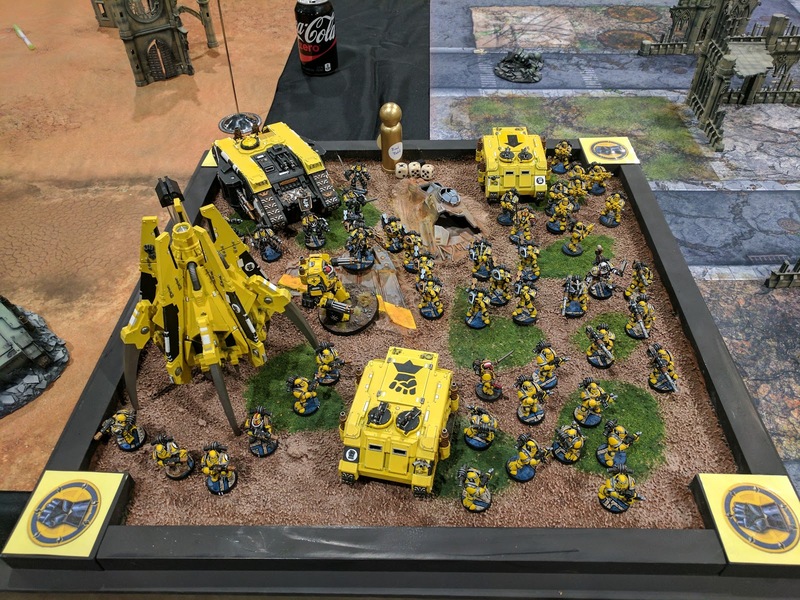 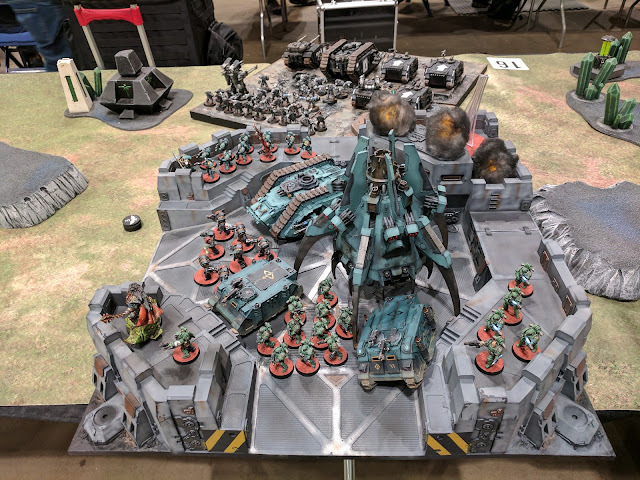 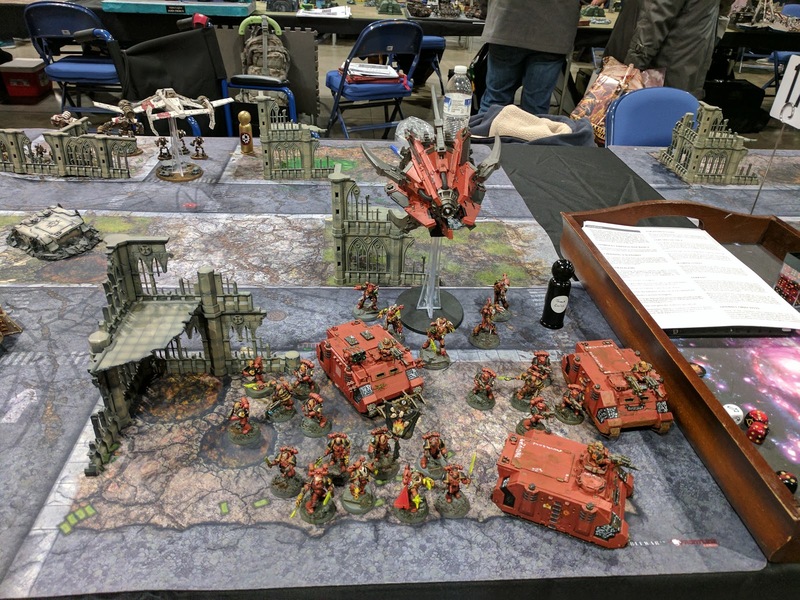 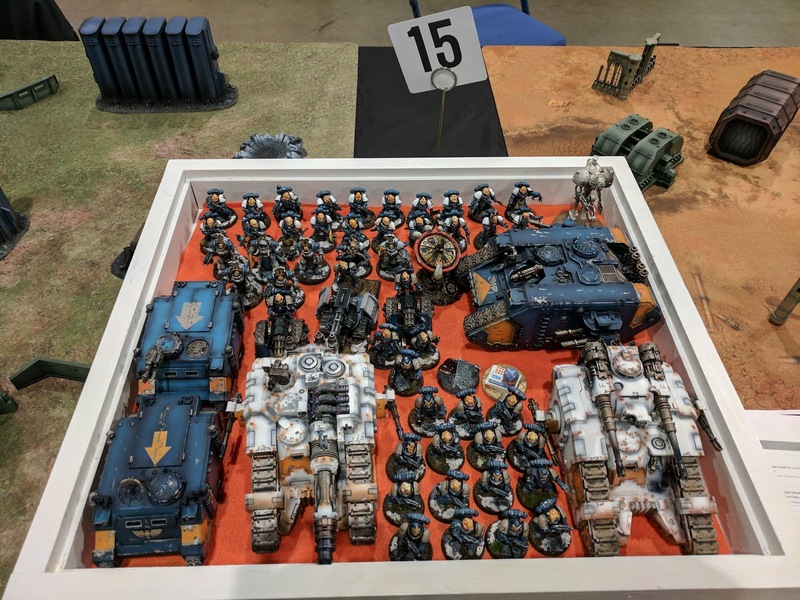 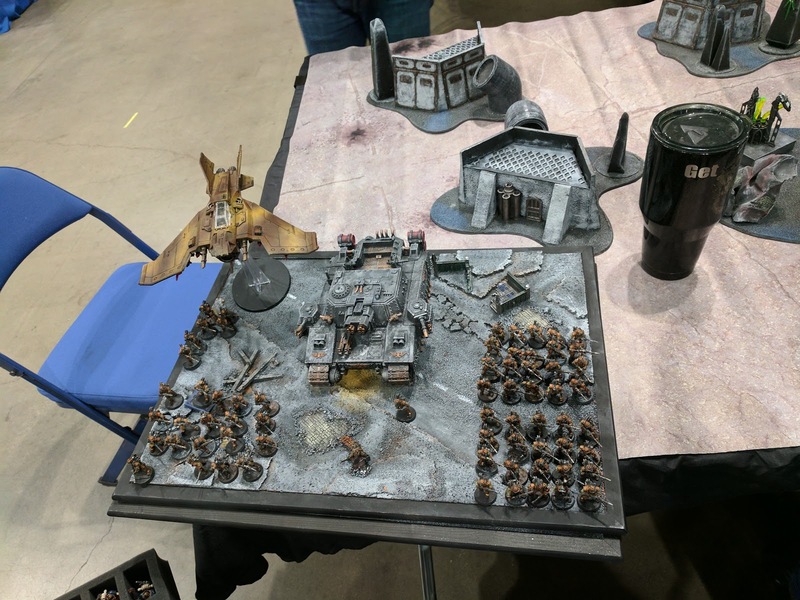 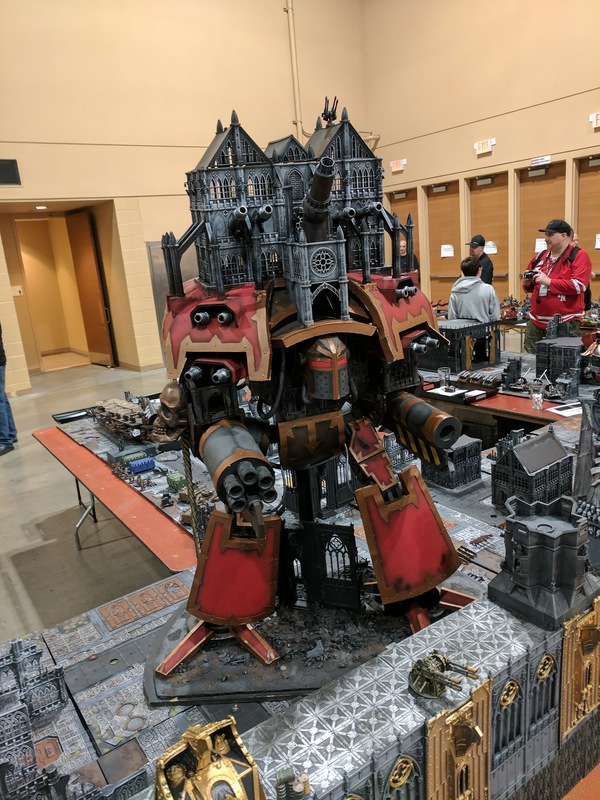 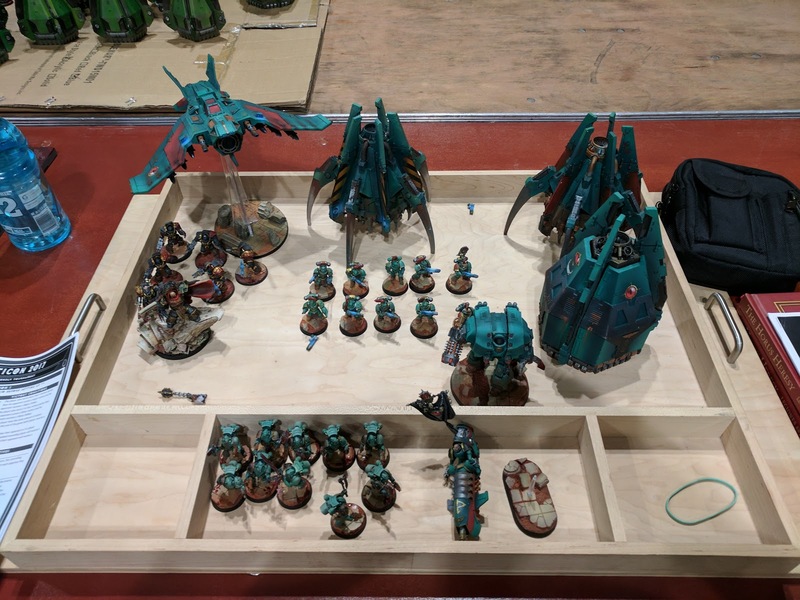 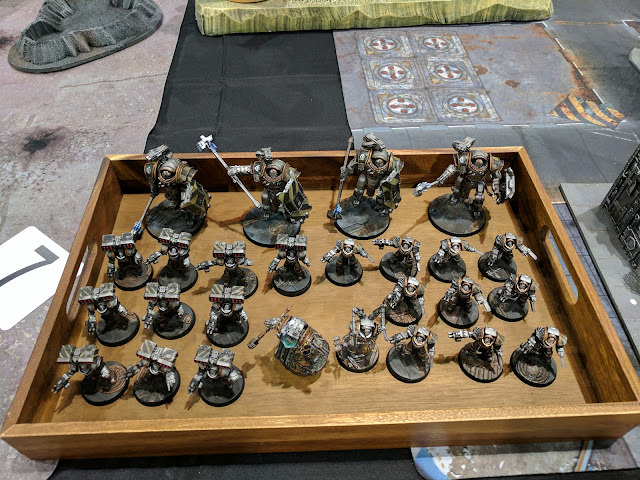 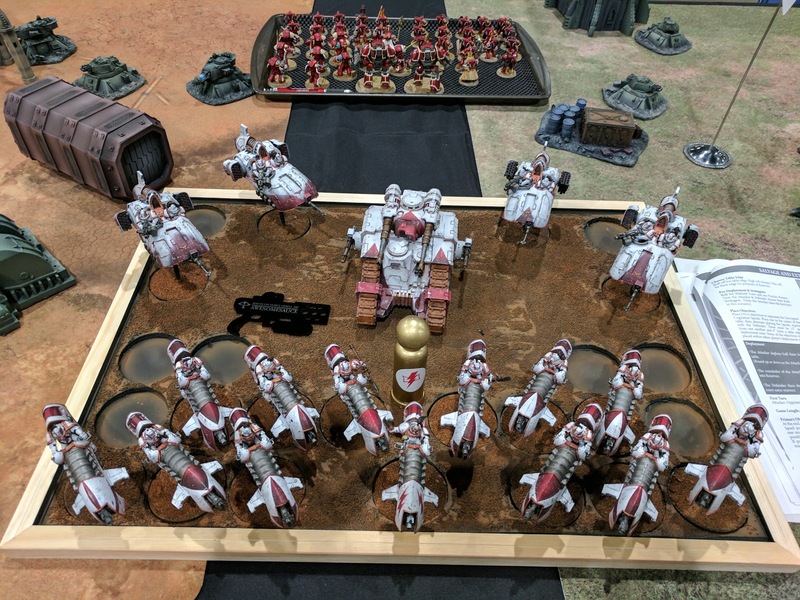 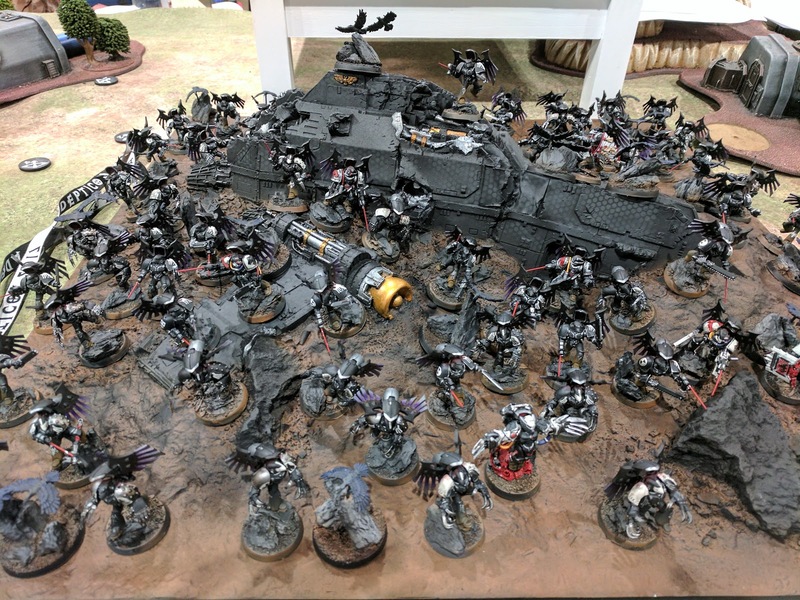 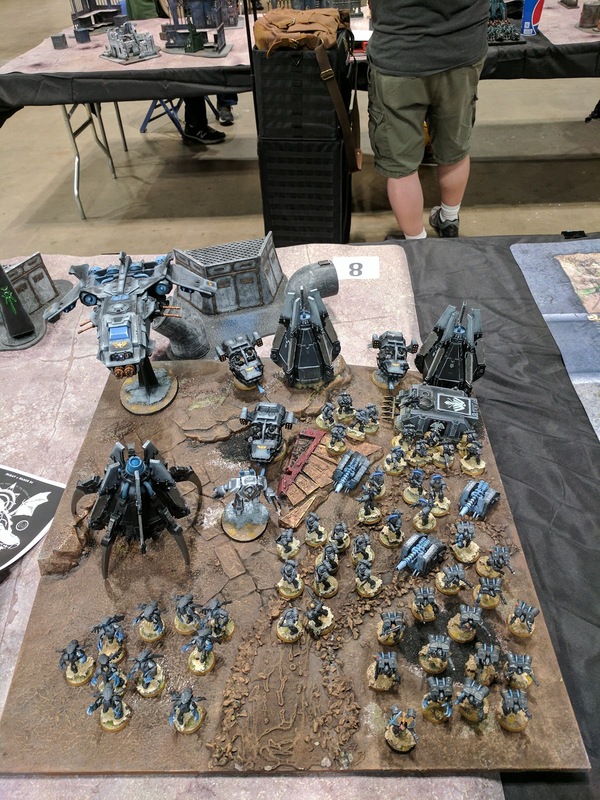 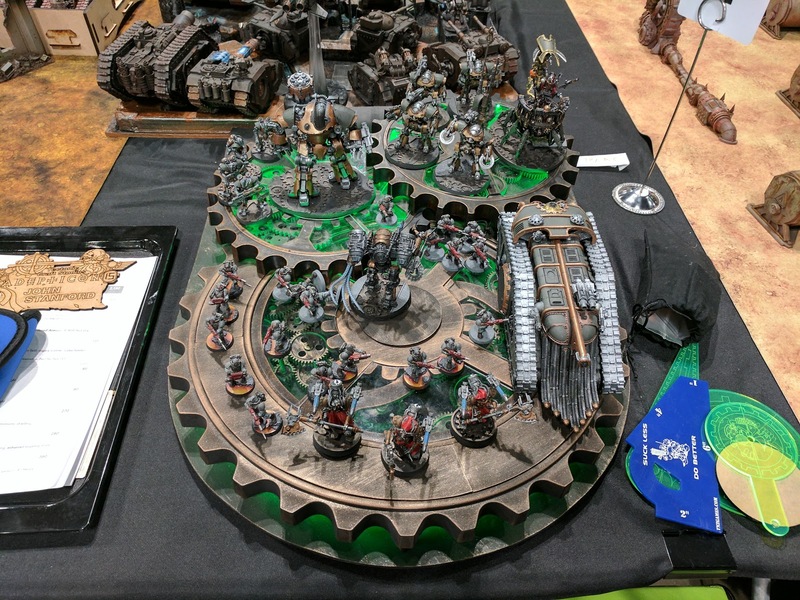 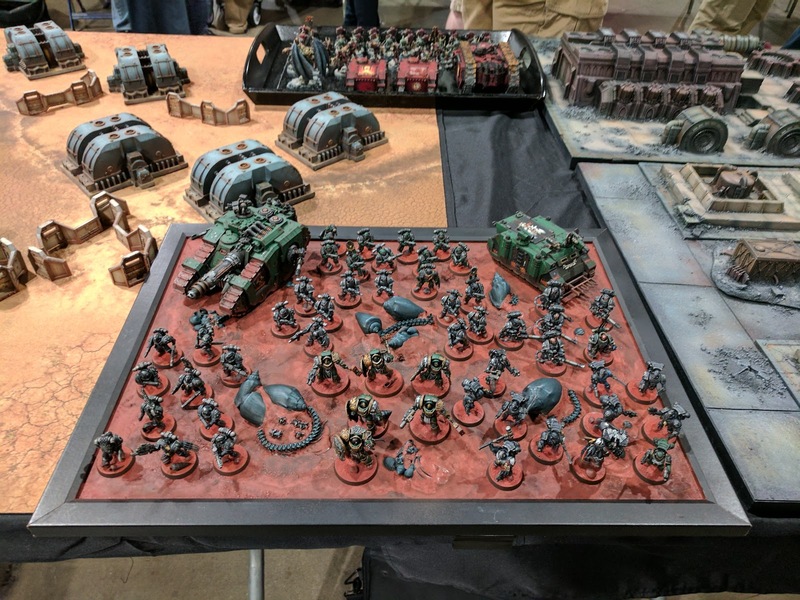 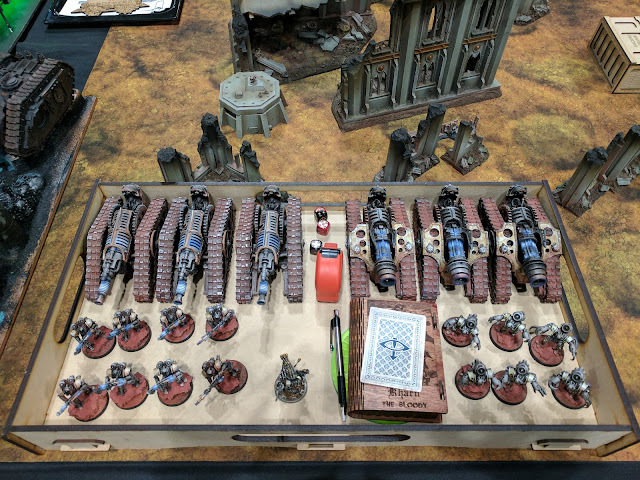 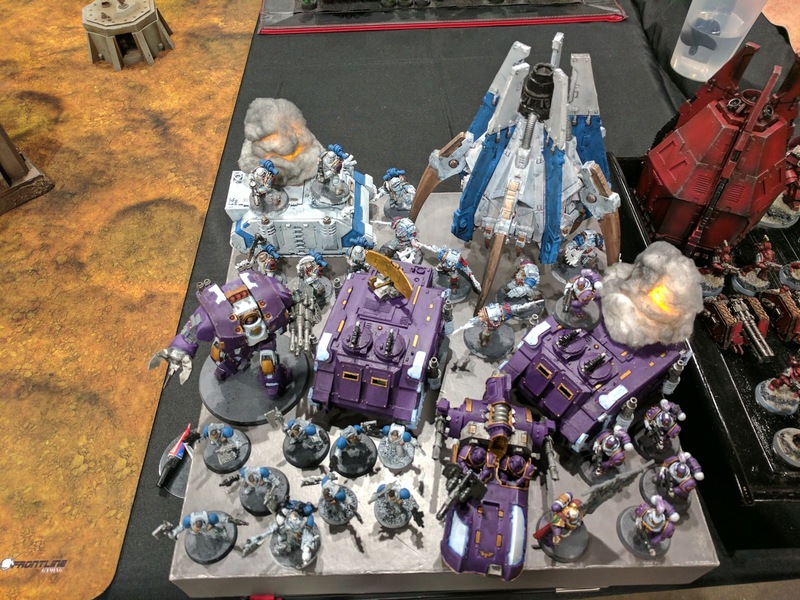 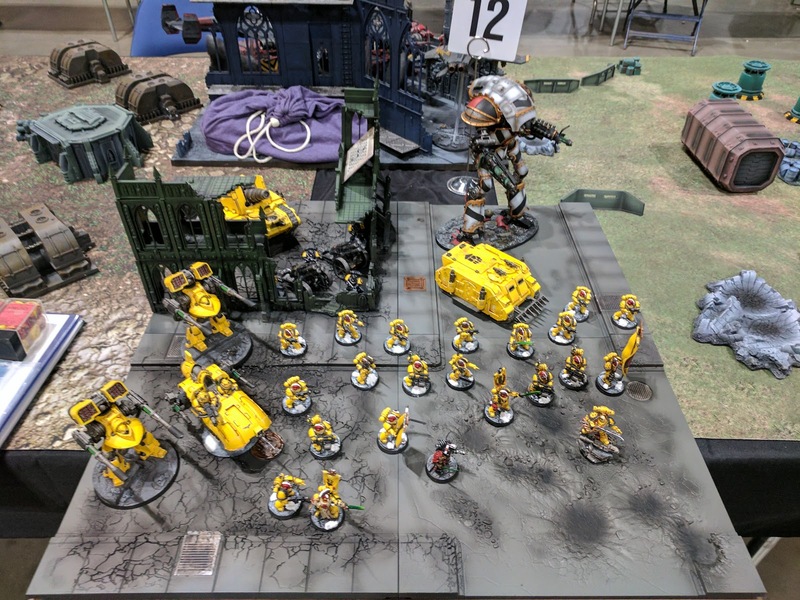 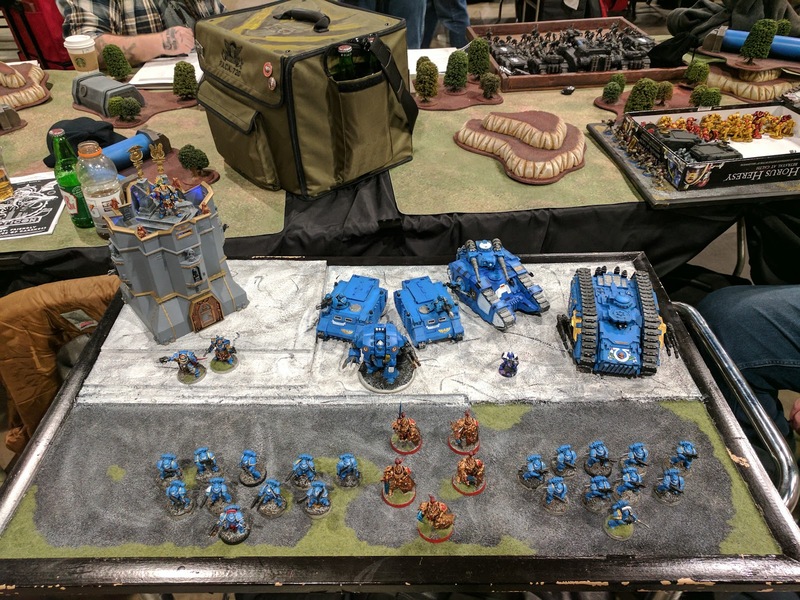 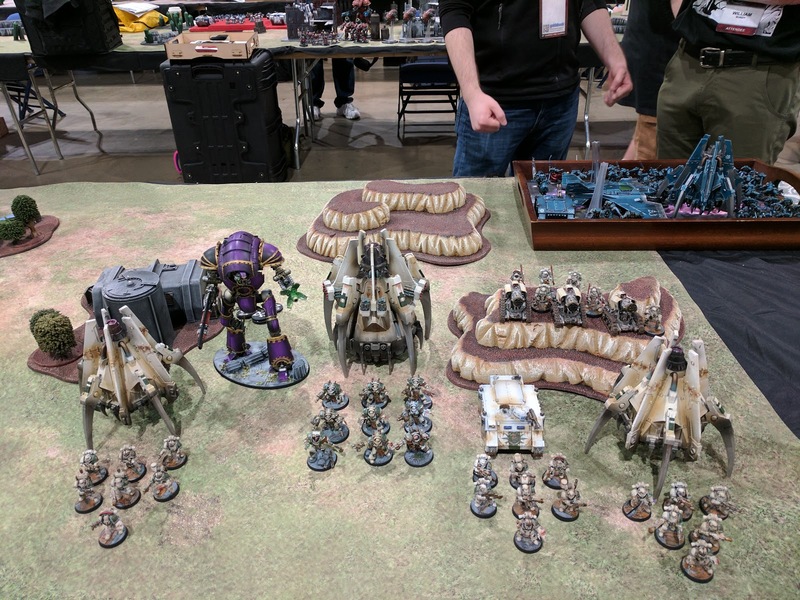 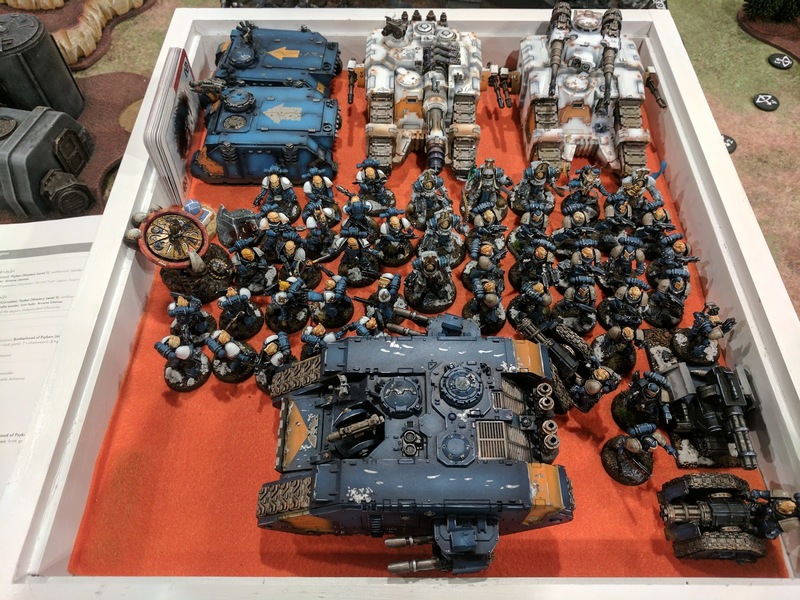 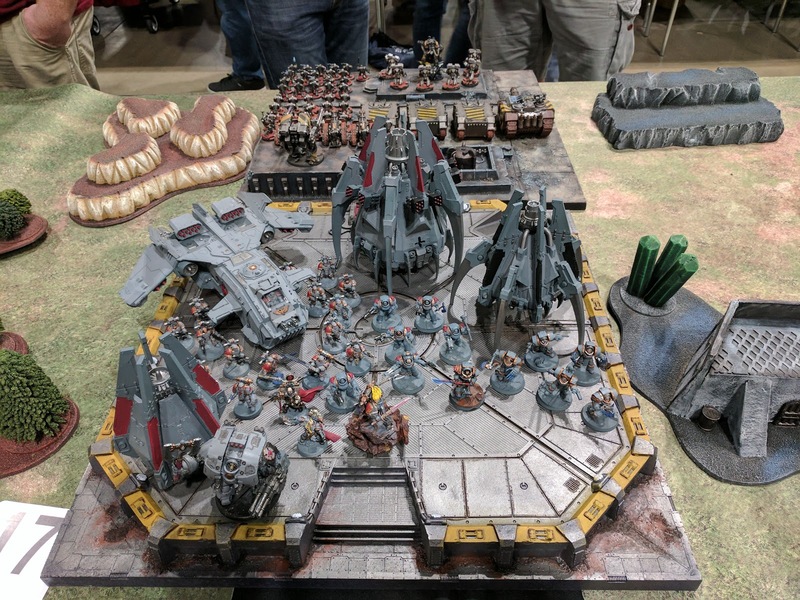 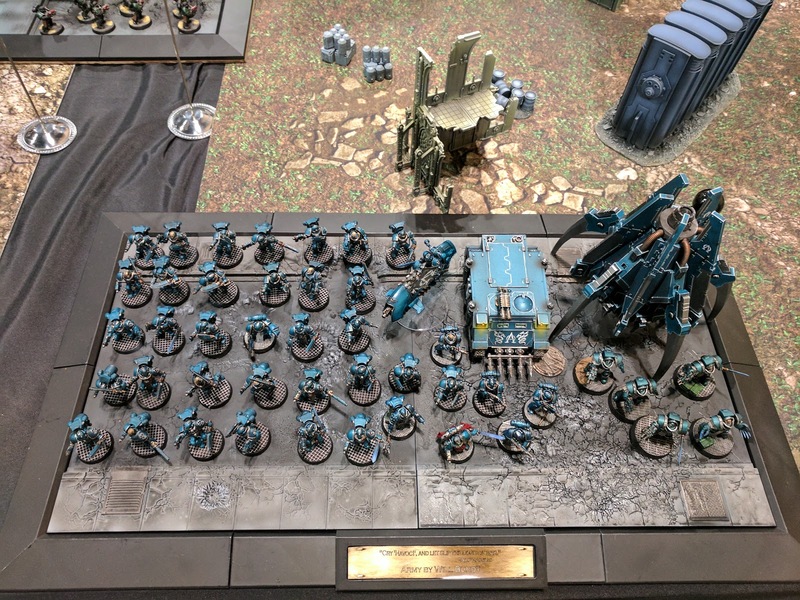 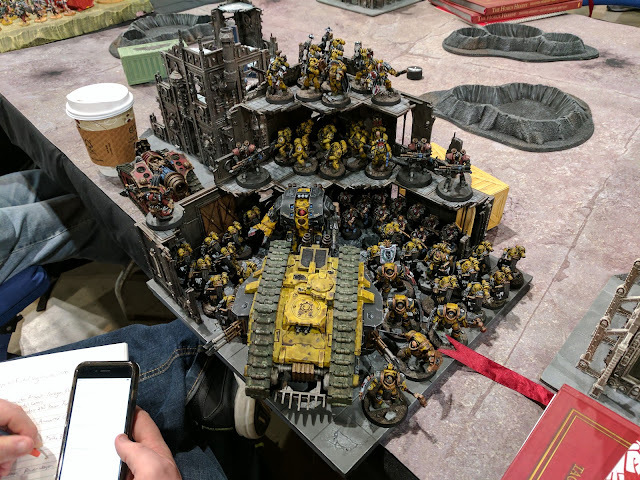 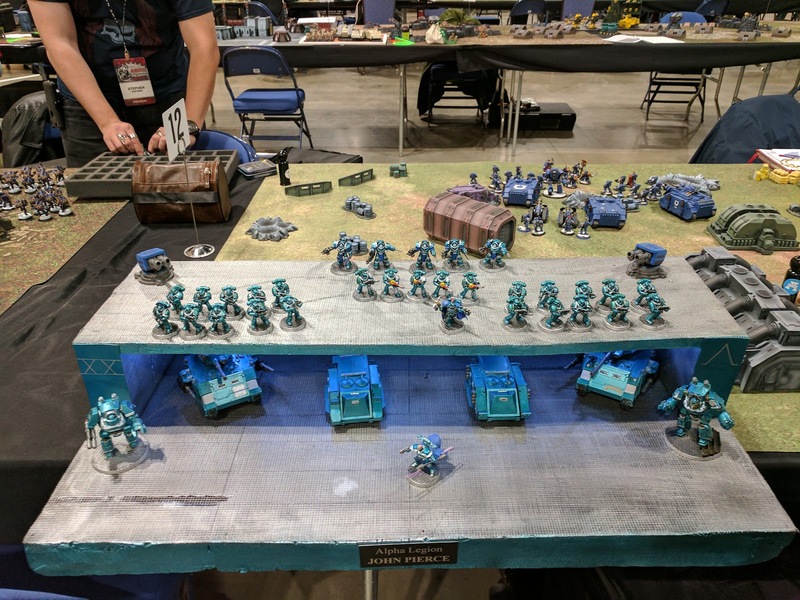 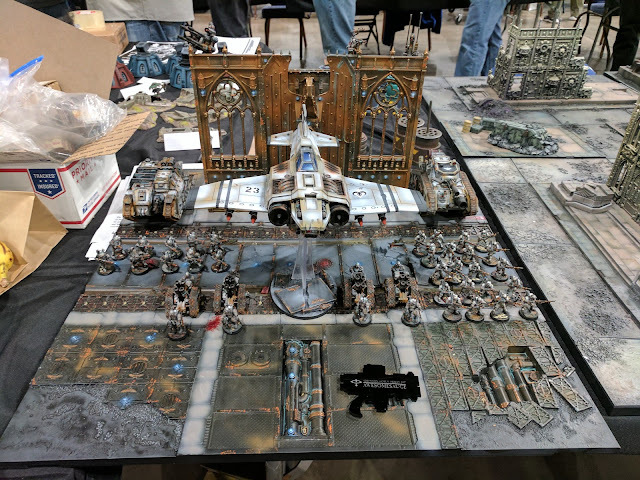 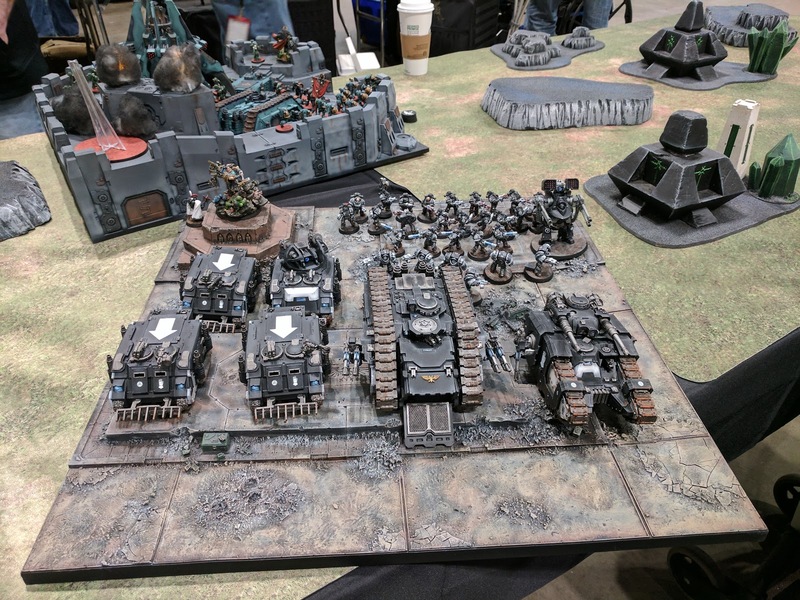 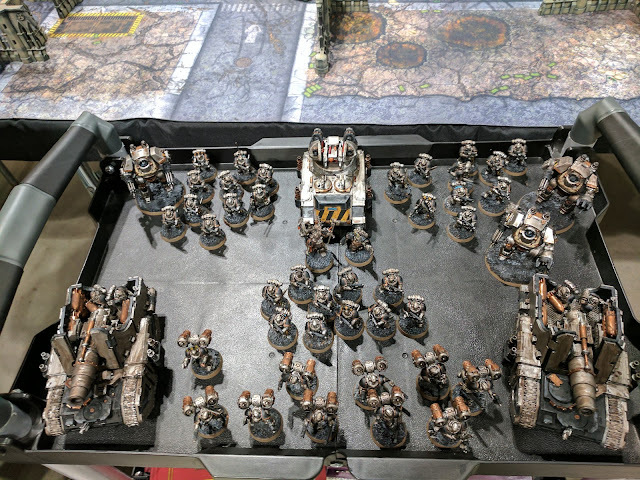 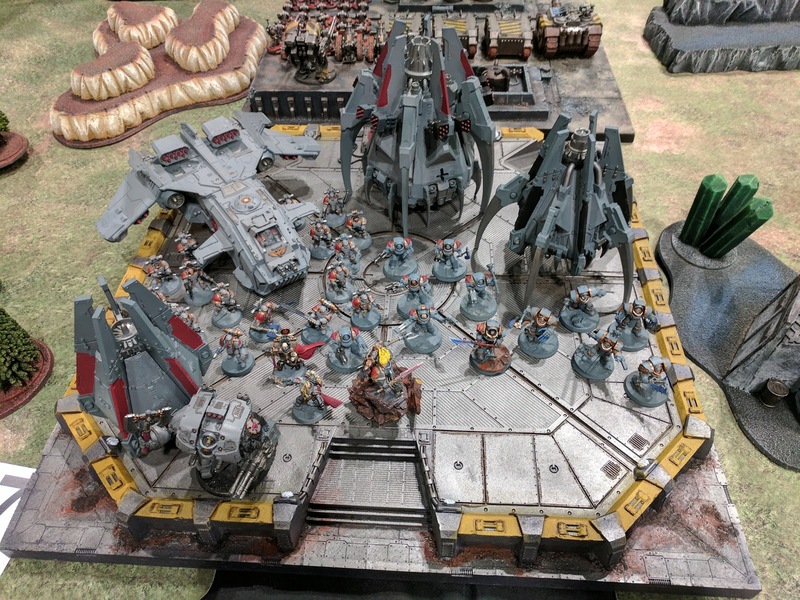 Adepticon is the penultimate US event that grows the interest and love of the Horus Heresy. 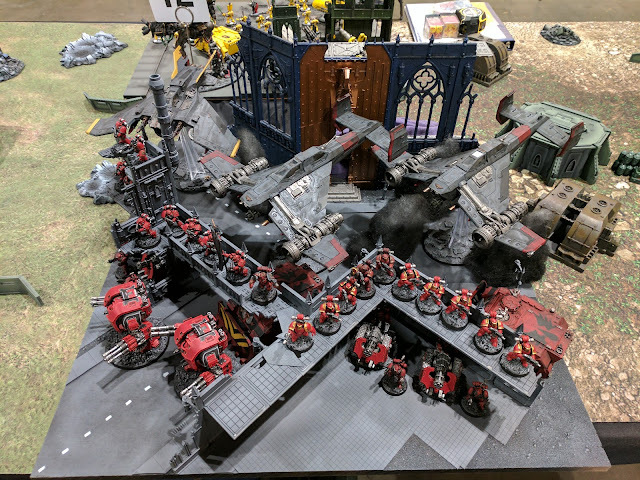 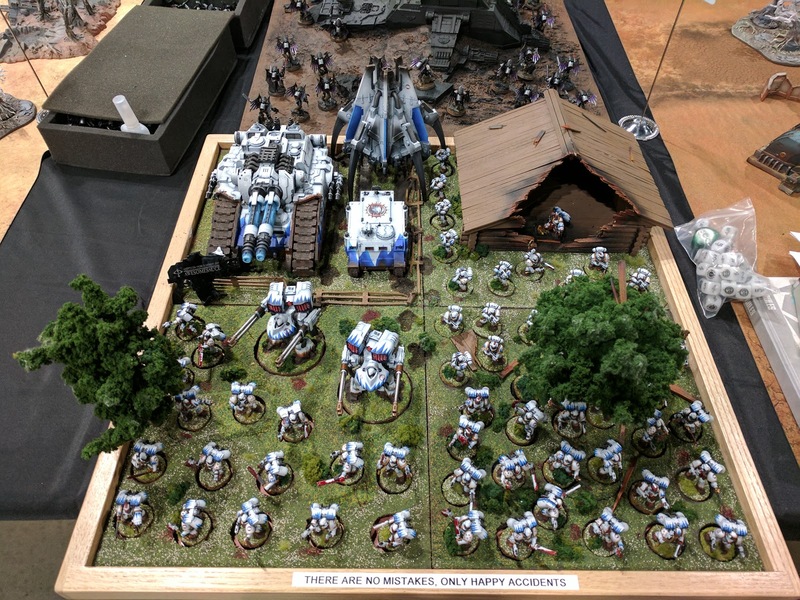 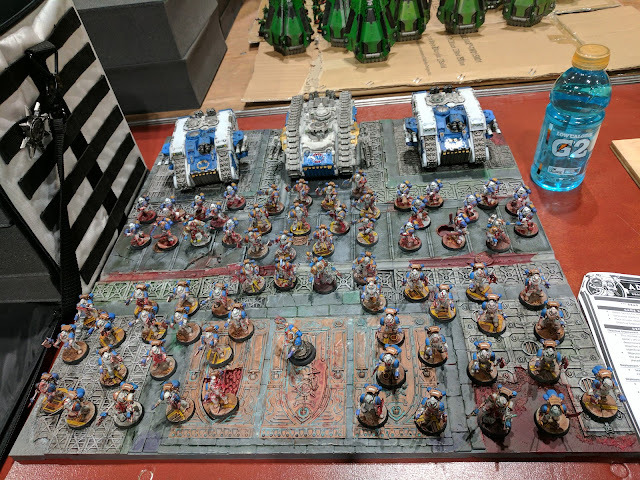 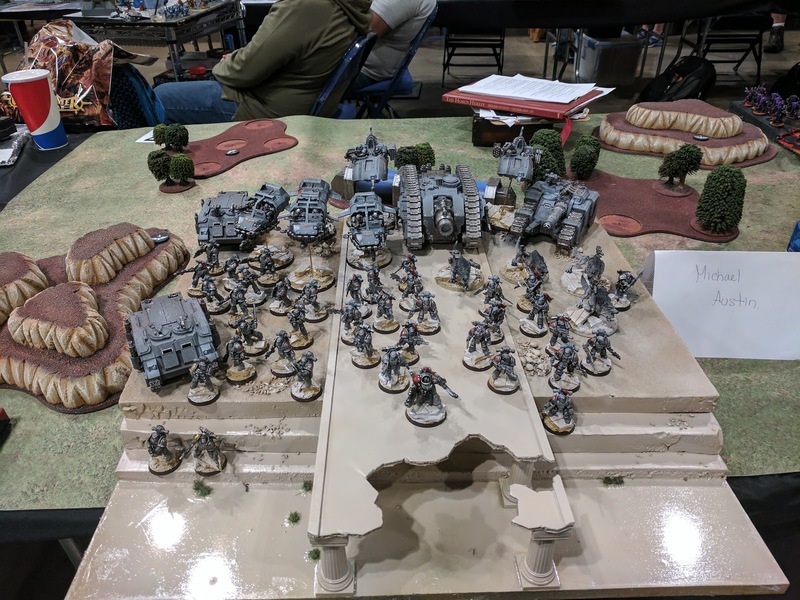 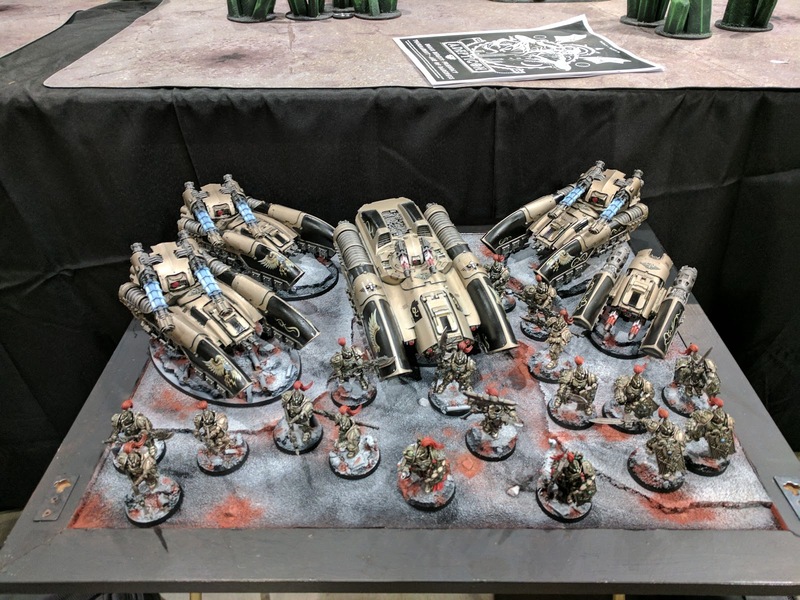 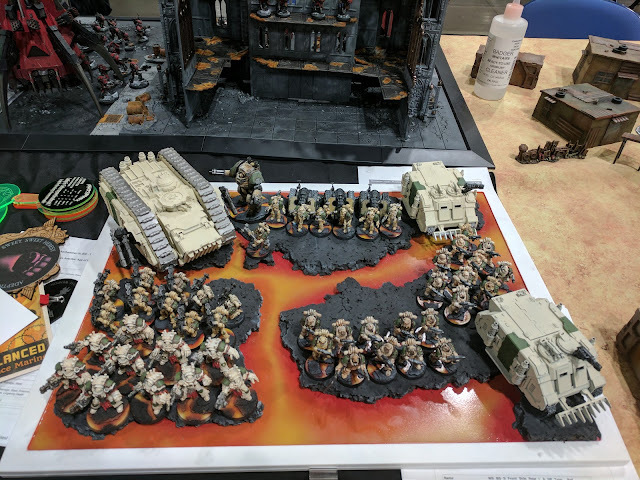 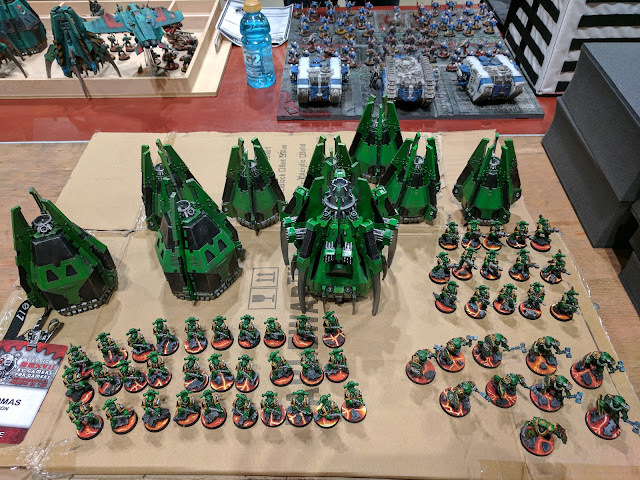 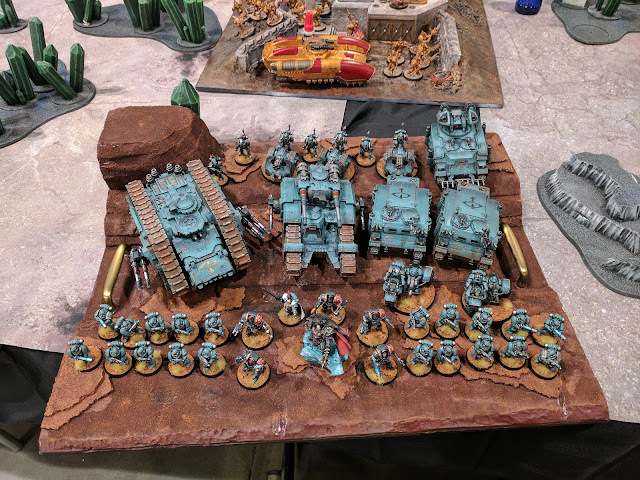 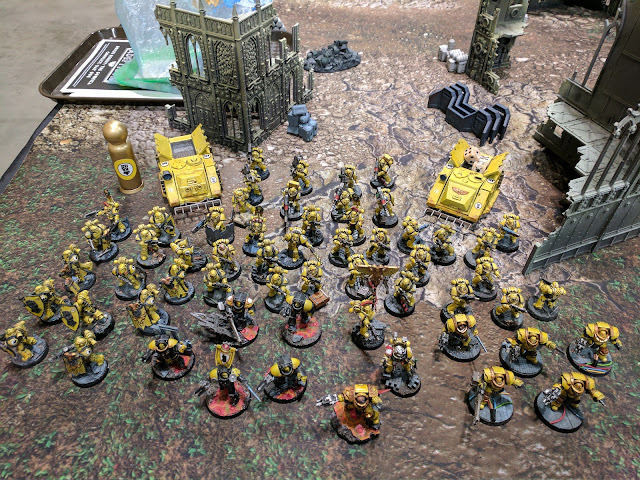 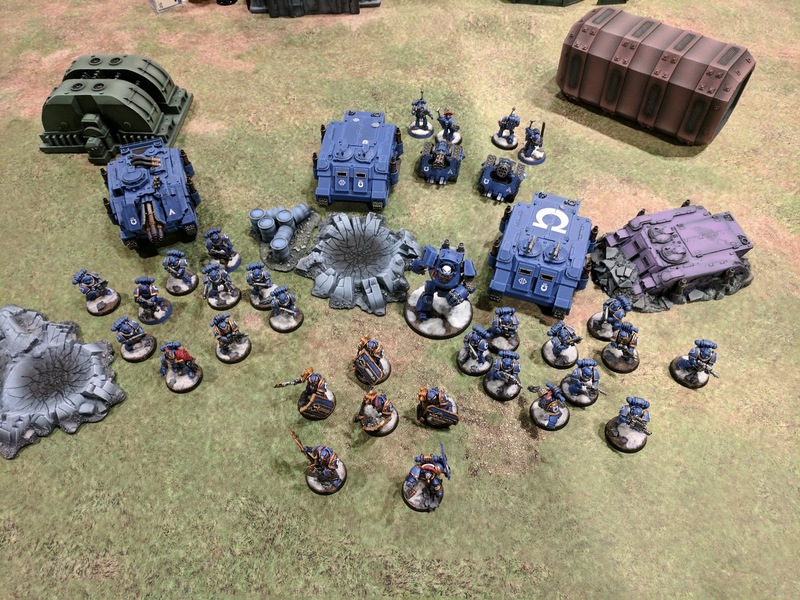 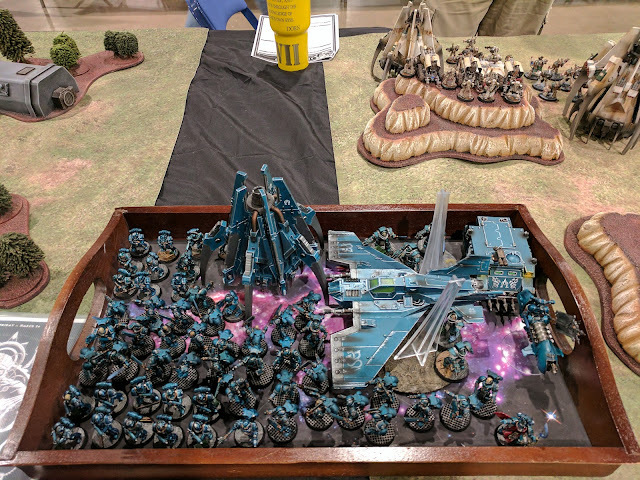 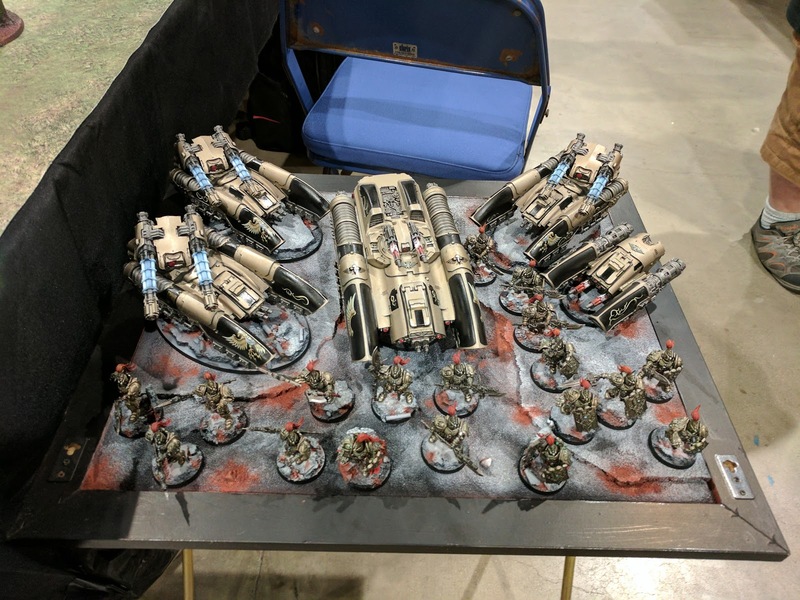 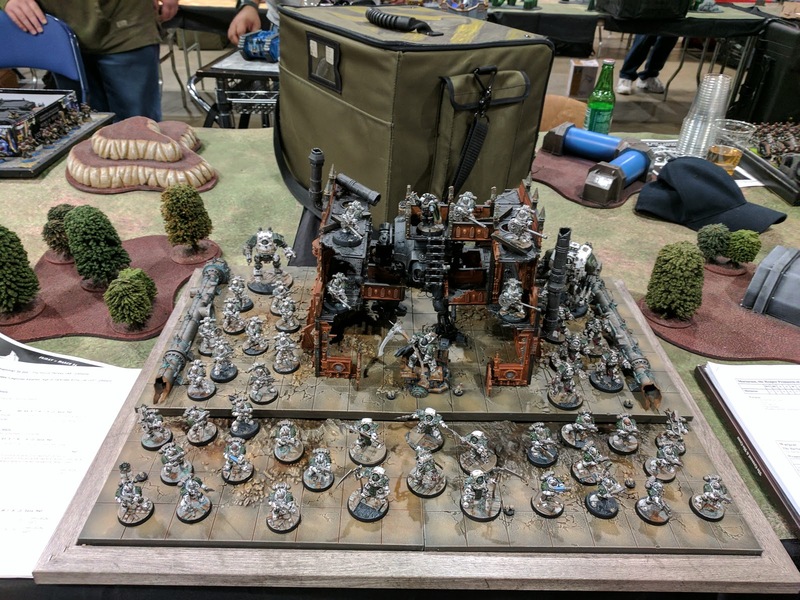 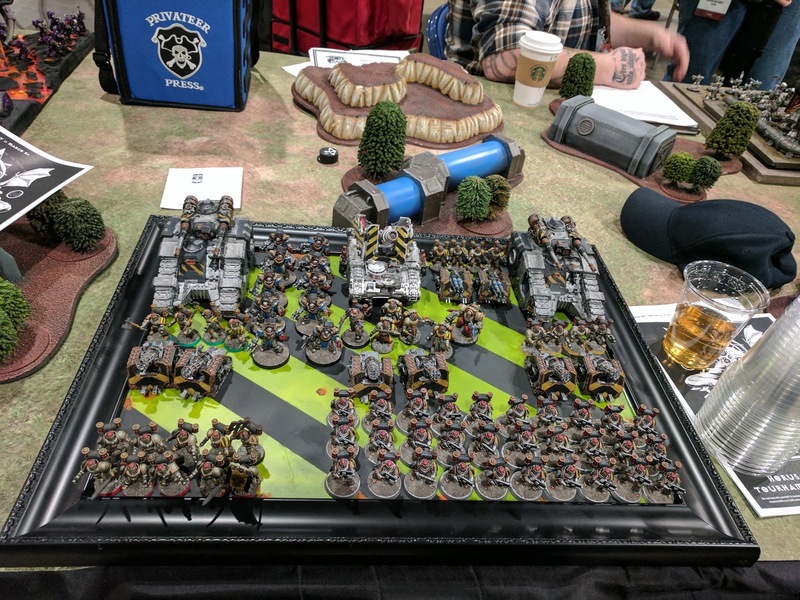 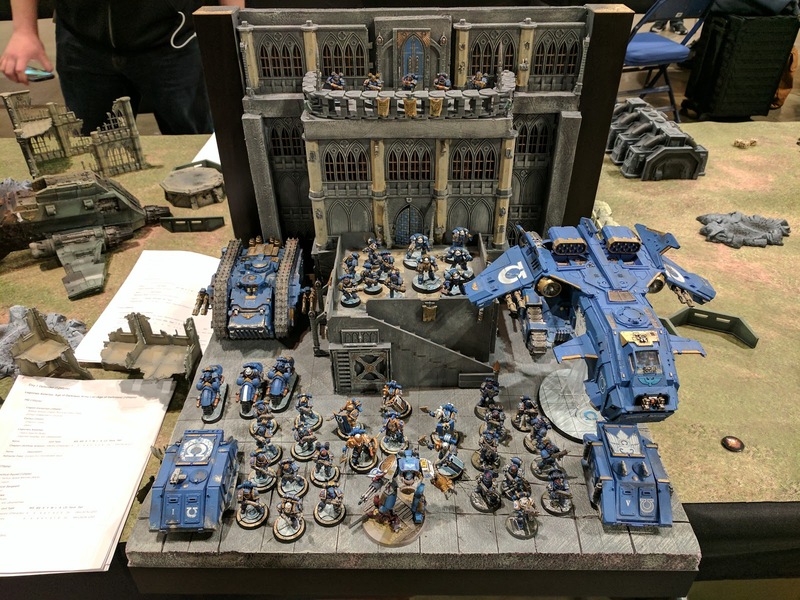 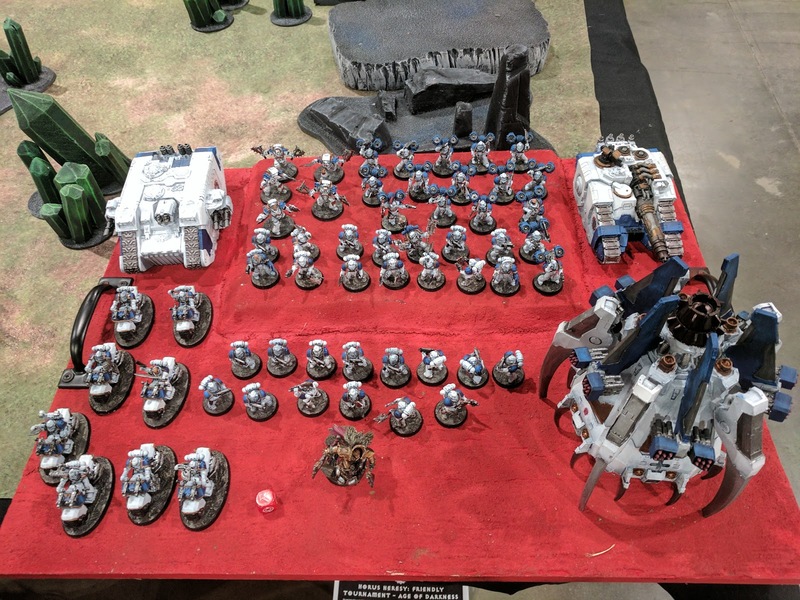 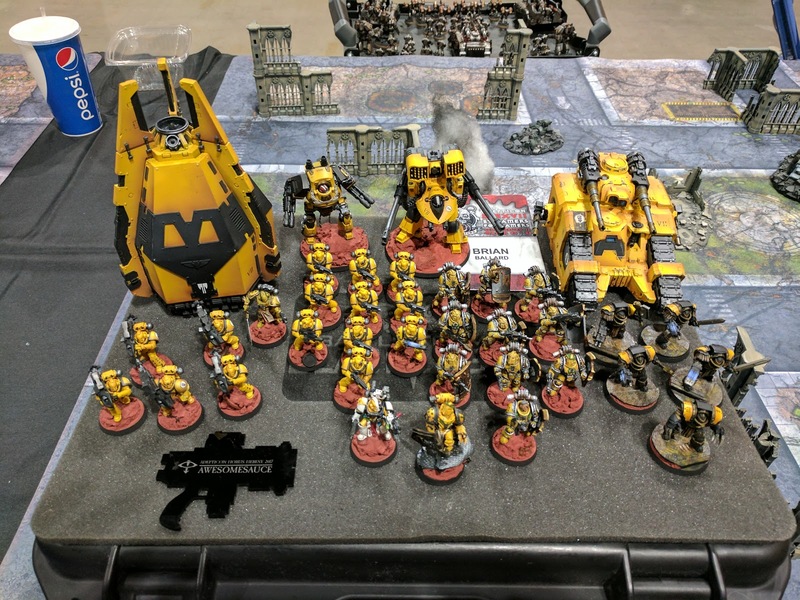 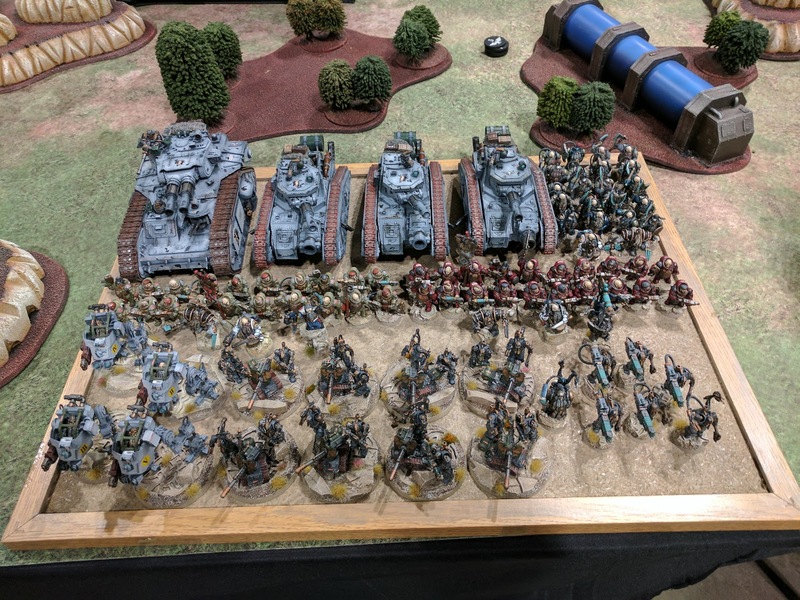 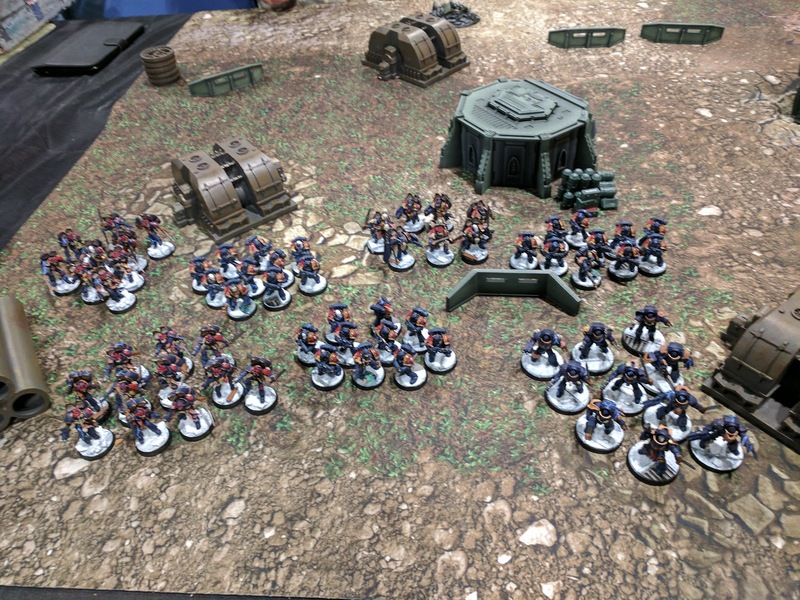 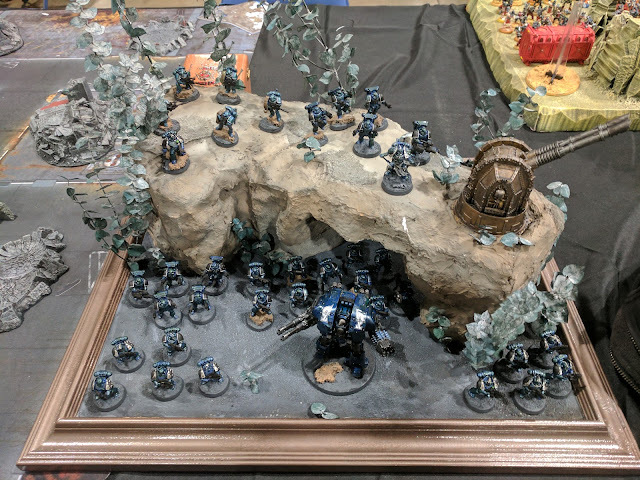 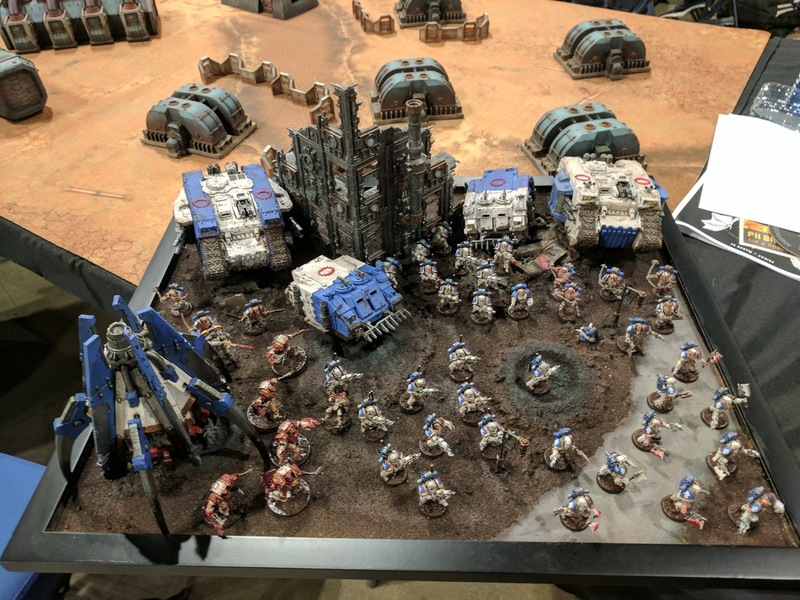 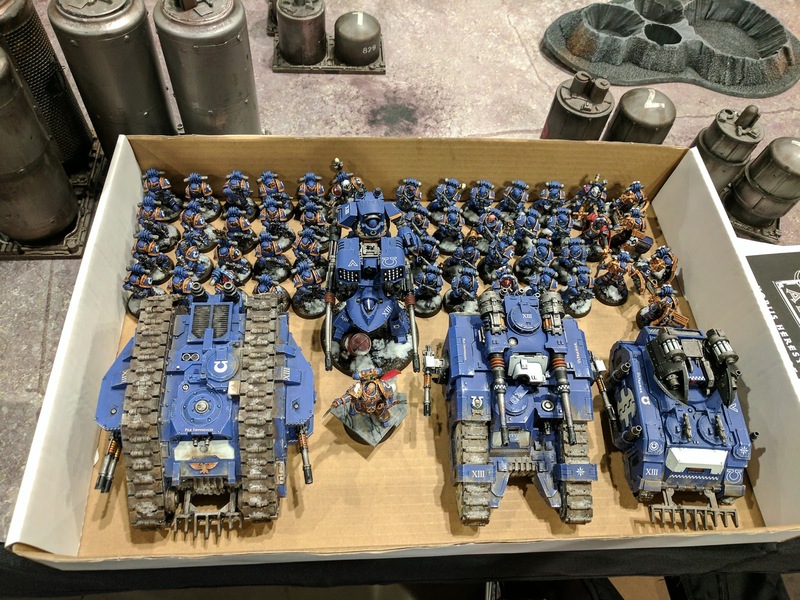 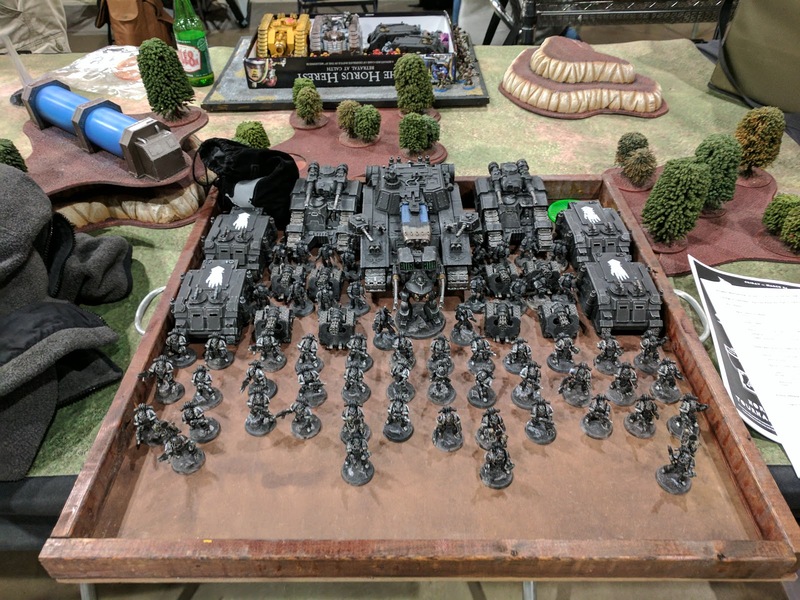 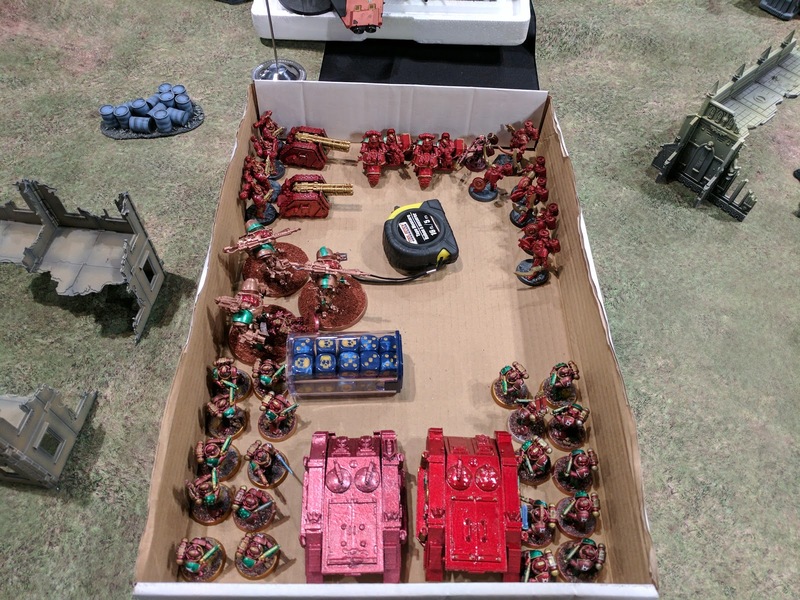 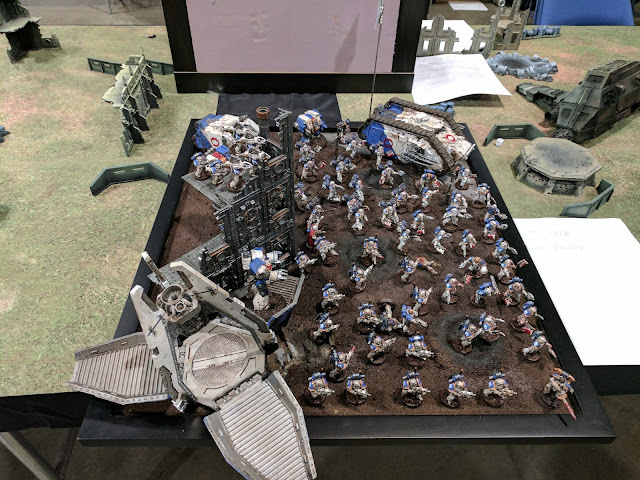 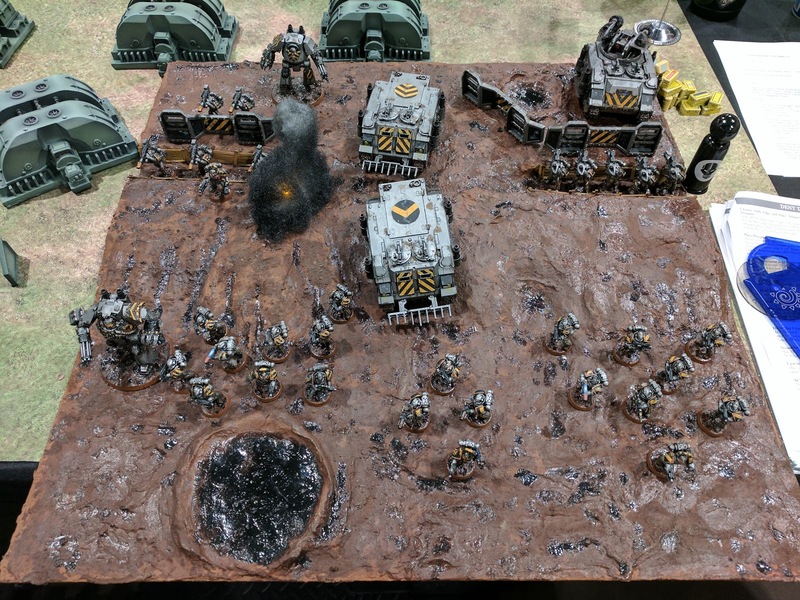 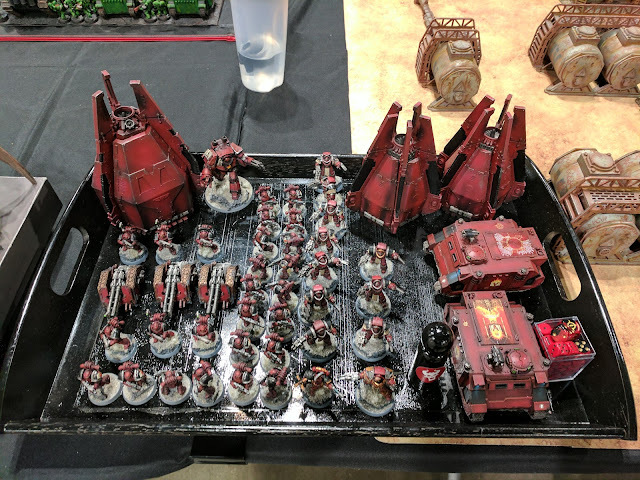 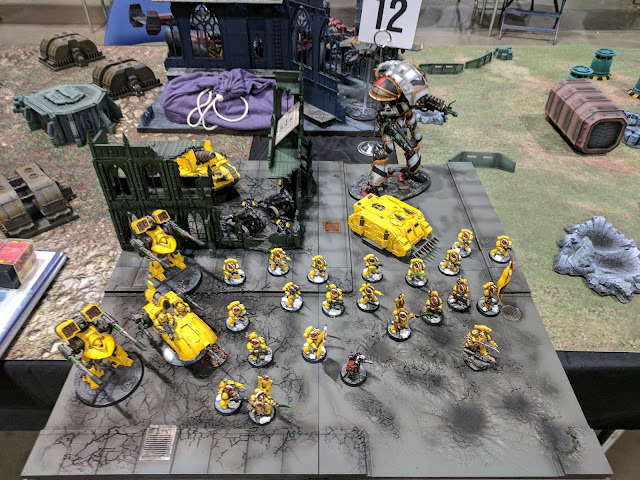 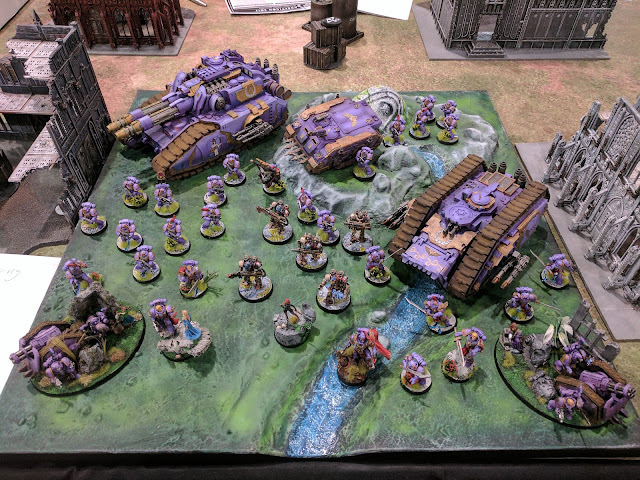 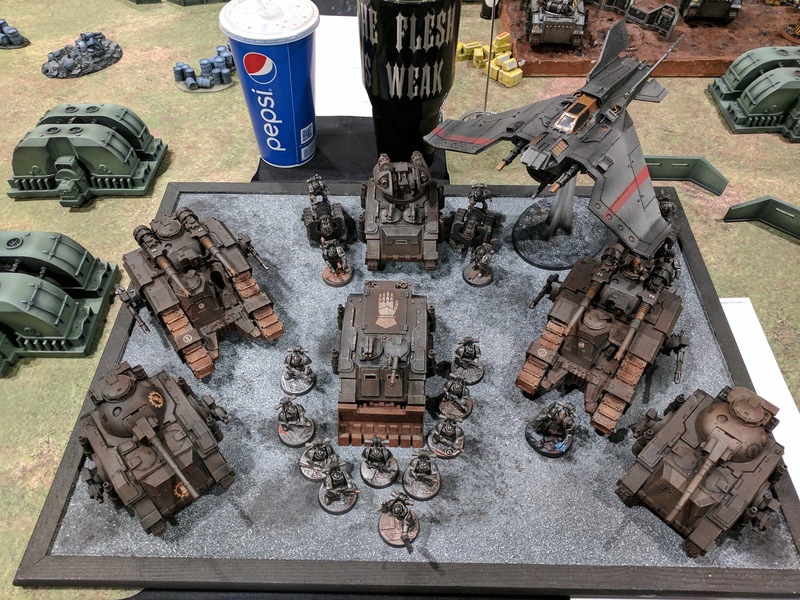 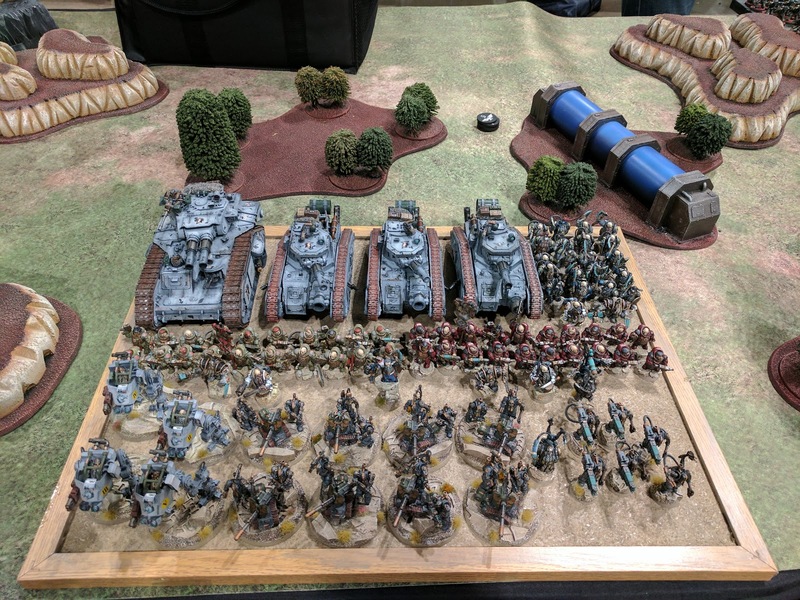 Personally, Adepticon is what drives me to paint, convert and play test my armies. 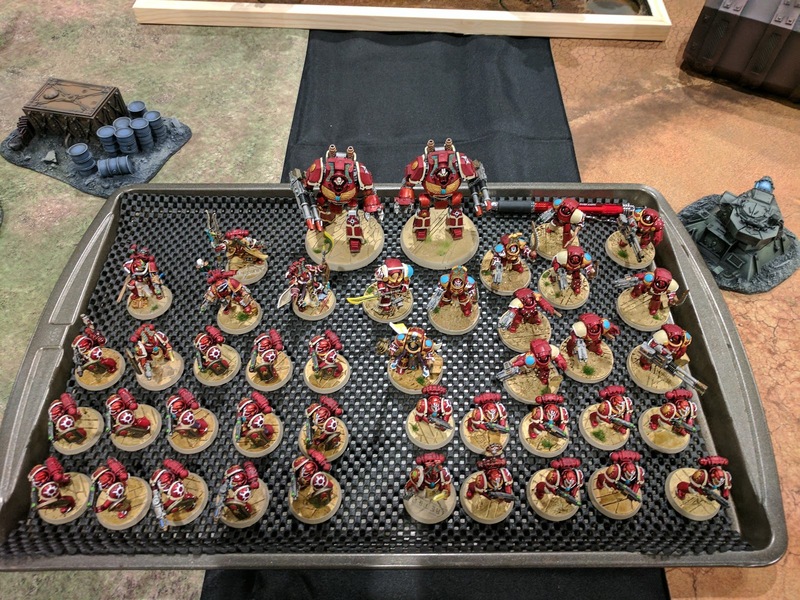 Every year, I come home with so many ideas, new tactics, new friends and great memories. It fuels my 30K hobbying. 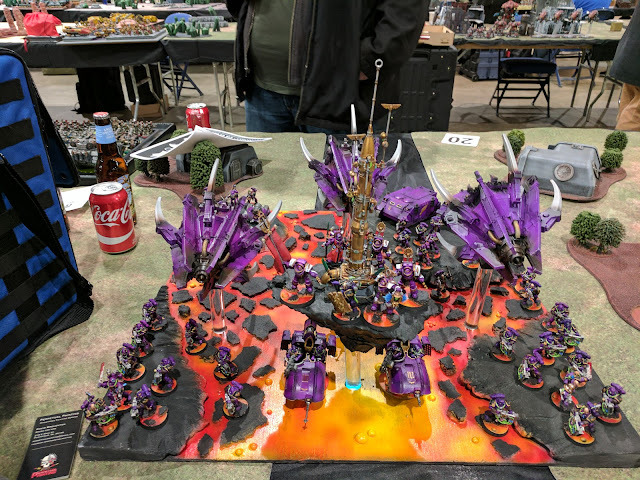 I hope some of these pictures fuel your hobbying fire! 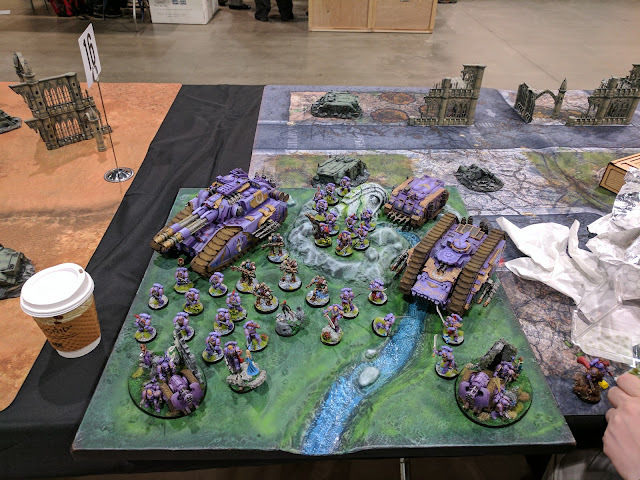 Hi, love the photos you took of the armies. I was wondering if you knew if any came in the top3 as I'd heard the top 3 was all legio custodes and I've been trying to find the lists that were played. 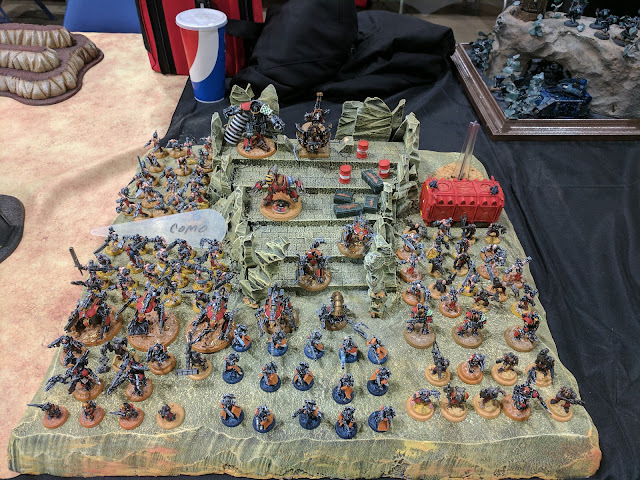 I can post it if the organizers do. 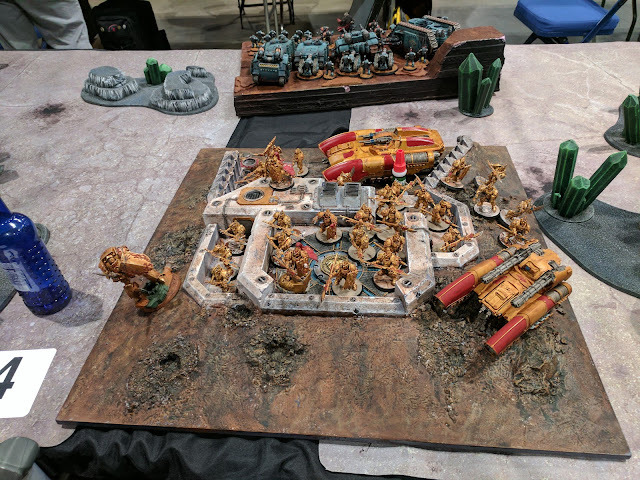 I know custodes took first place pretty convincingly. 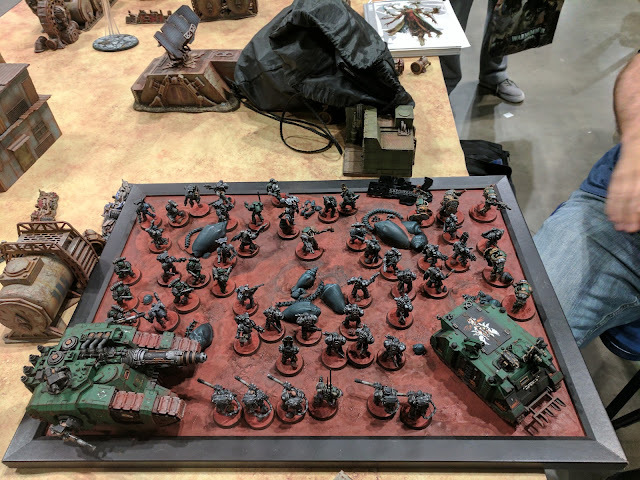 I don't know about 2nd and 3rd. There were a couple nasty list running around. 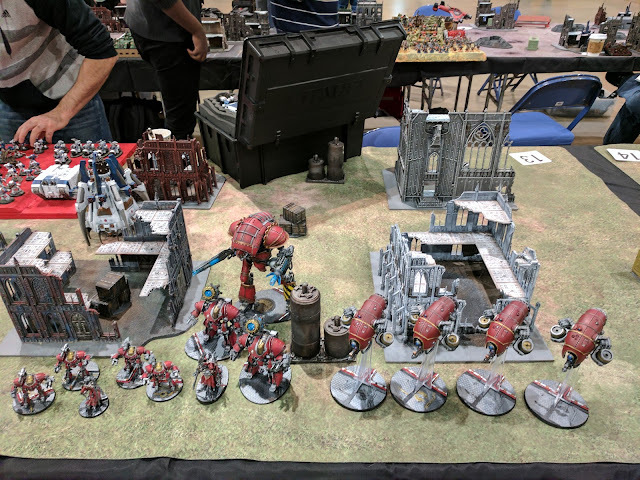 I saw an auxilla list that looked brutal. 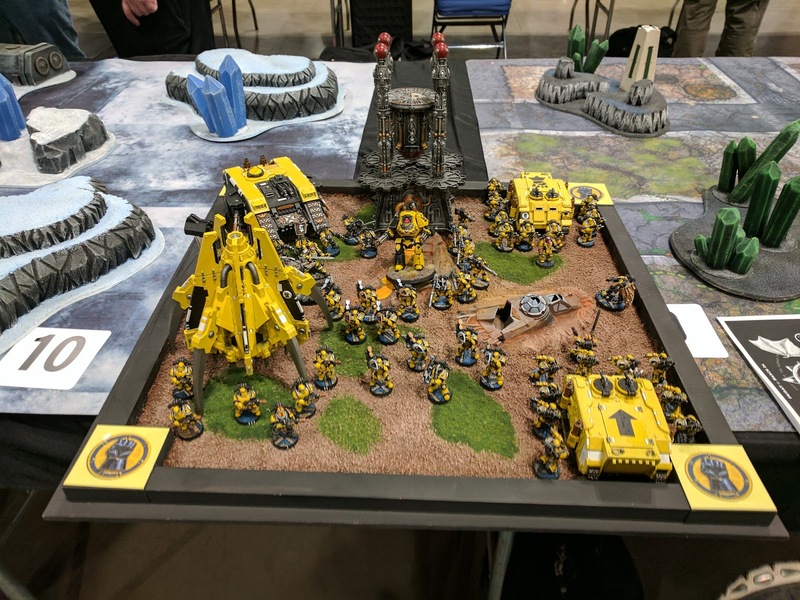 I've looked through the websites and released stuff thus far, the 30k tournament wasn't even mentioned on their site lol. 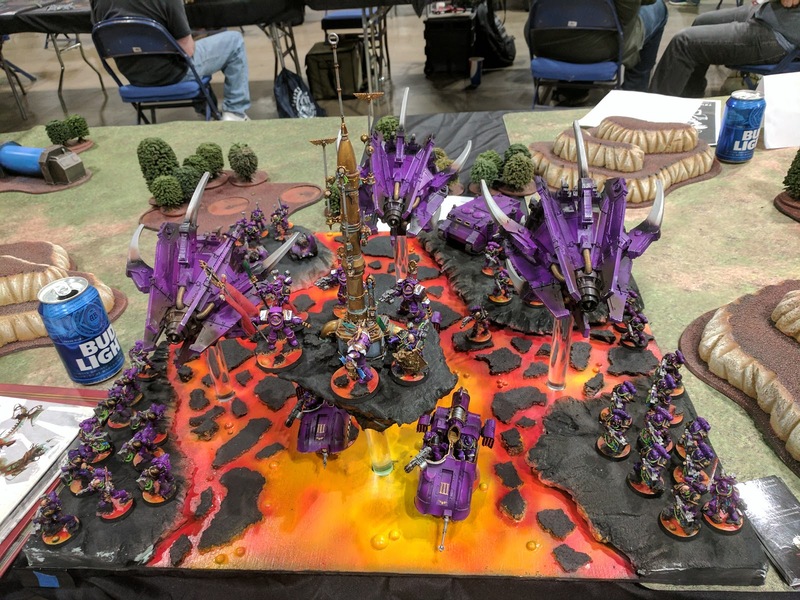 The only way i know they took first, was an off hand comment on a reddit post and a brief mention that someone who was from a podcast had won.